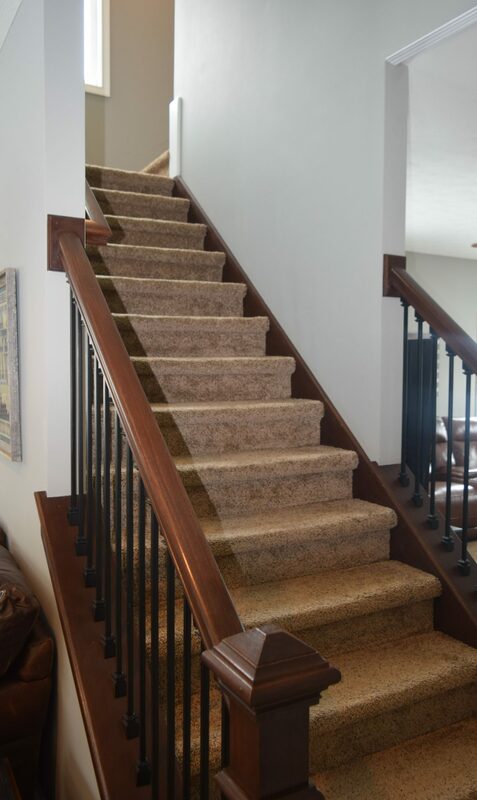 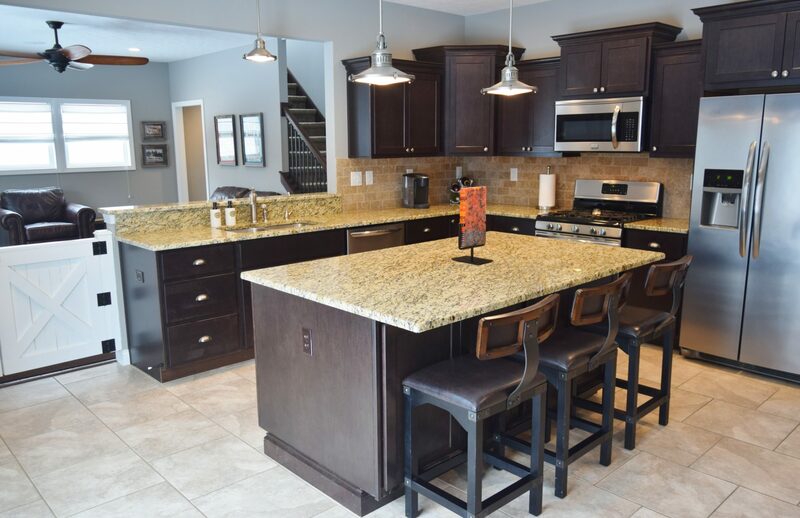 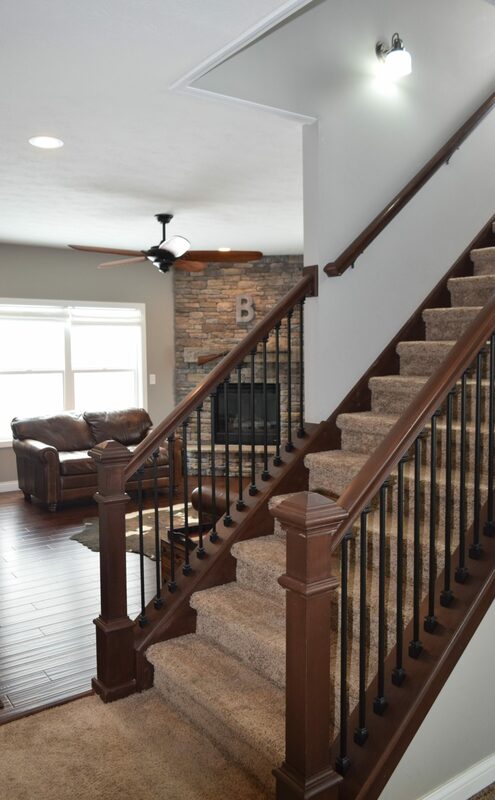 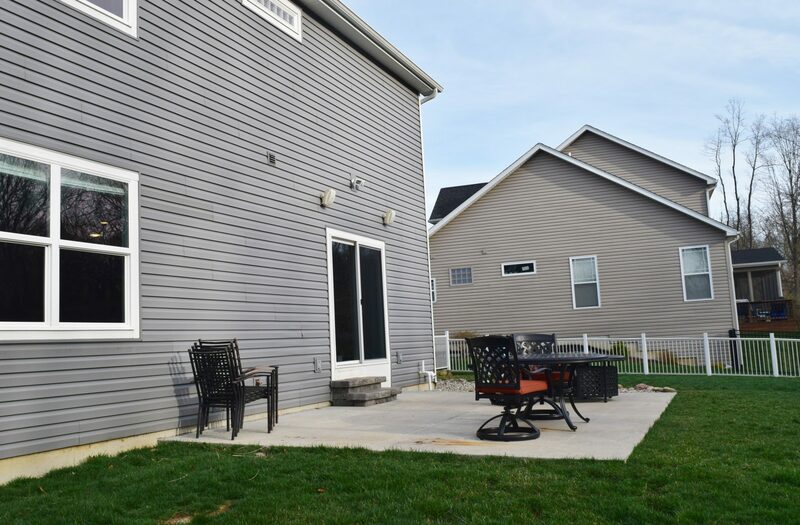 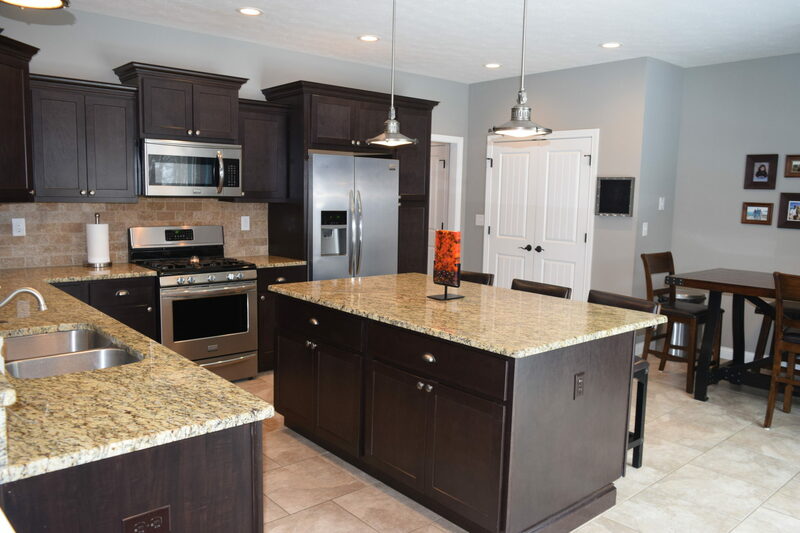 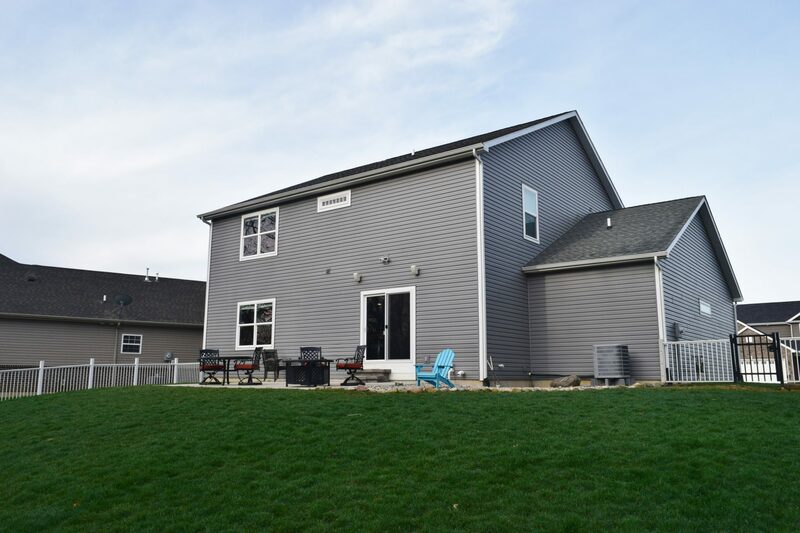 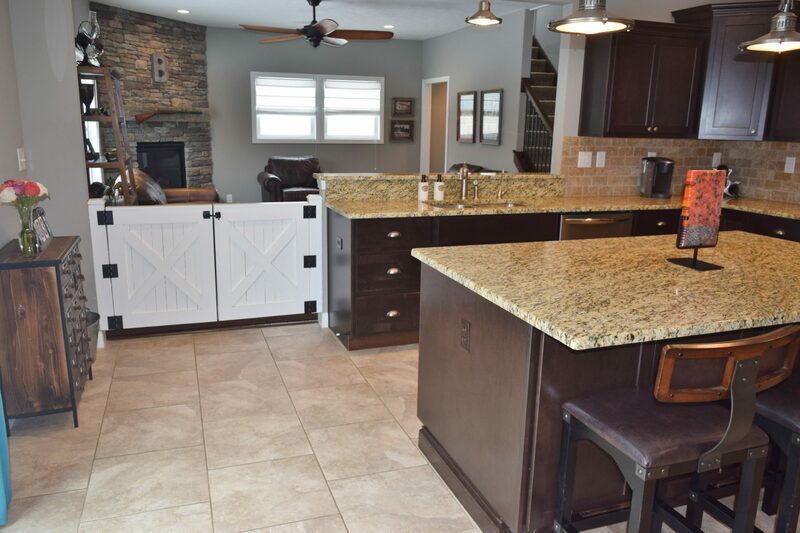 You’ll be proud to own this meticulously maintained, well-built home by Keene Homes in Harrison Highlands. 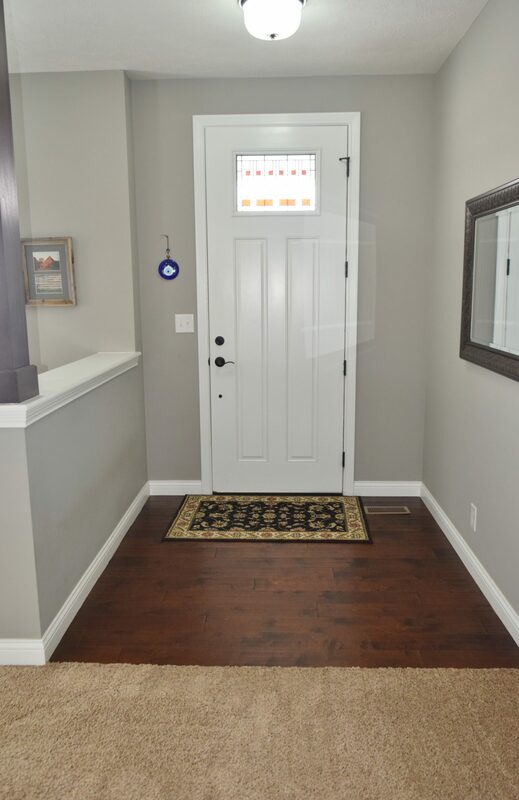 Feel the warm sense of family in this gorgeous home as soon as you enter the dramatic 8′ red front door. 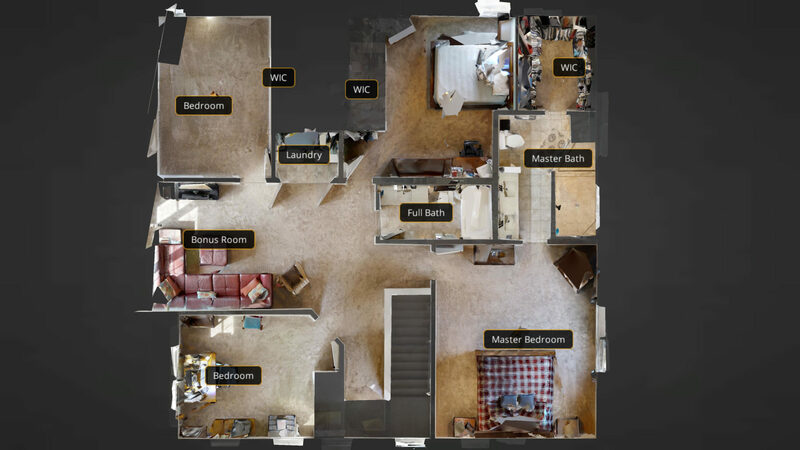 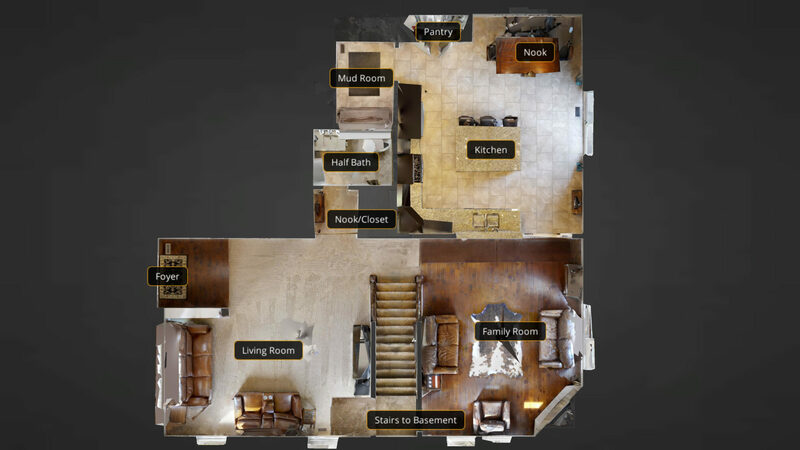 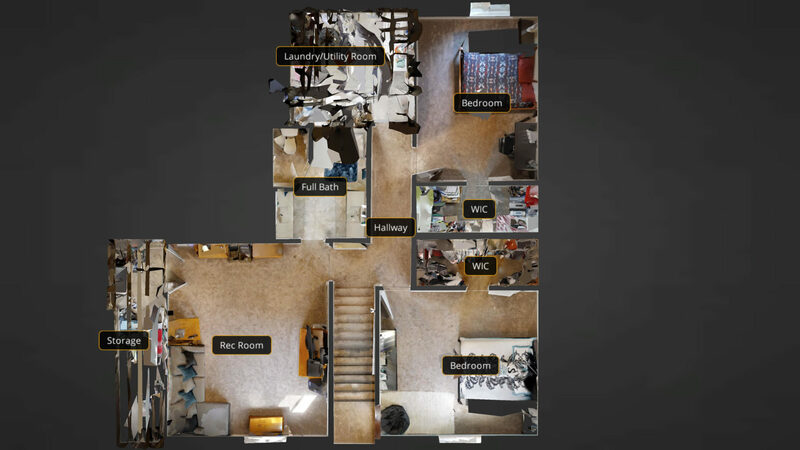 Check out the 3D virtual tour for your private “open house.” Three extensive levels in this home with tons of upgrades throughout. 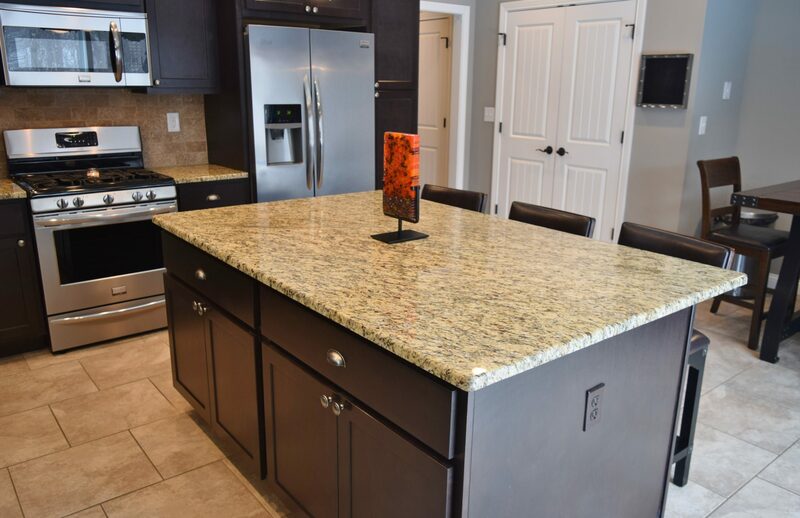 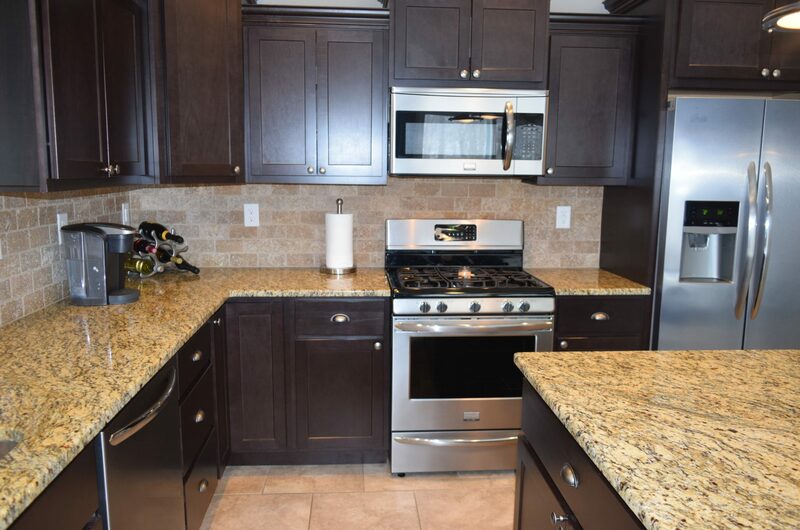 Stunning chef’s kitchen features granite countertops, stainless steel appliances with gas range and 5th burner, huge center island with breakfast bar seating & storage, large pantry, Reverse Osmosis water system and tons of cabinet space (all with soft close doors). 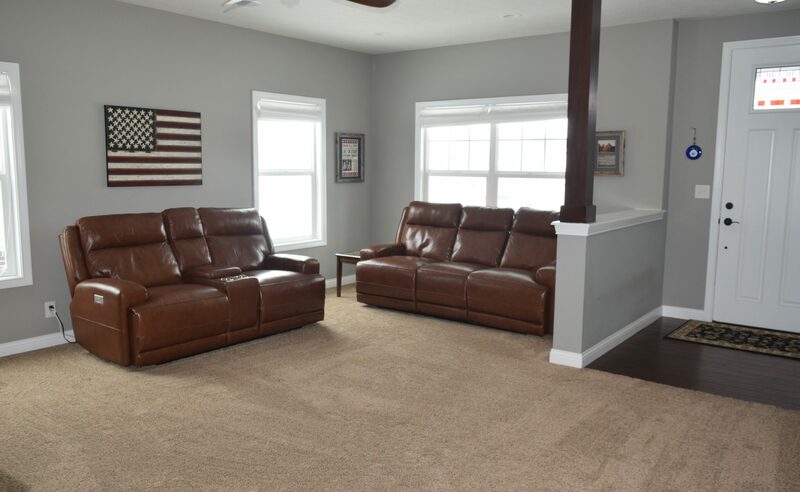 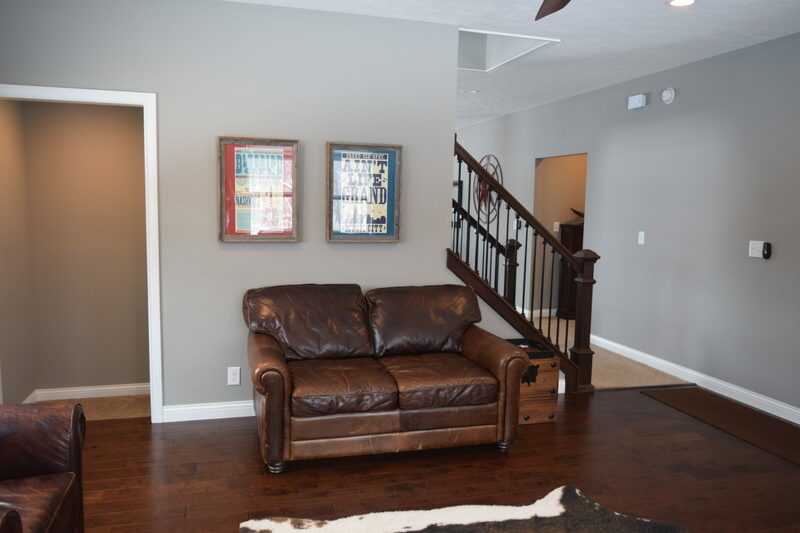 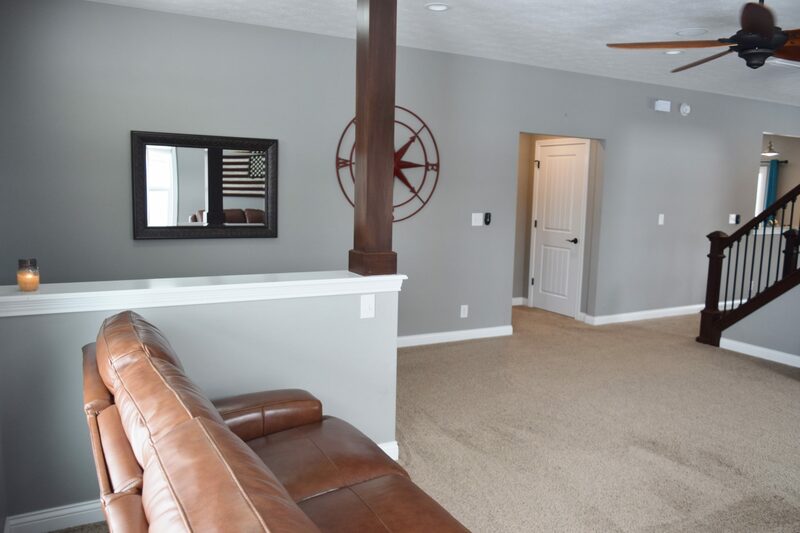 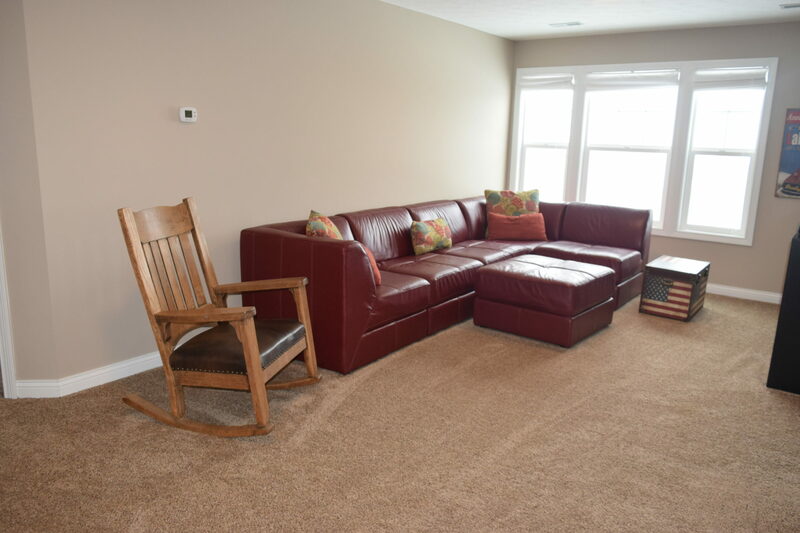 Separate living room and family rooms on the main level provide ample space for entertaining. 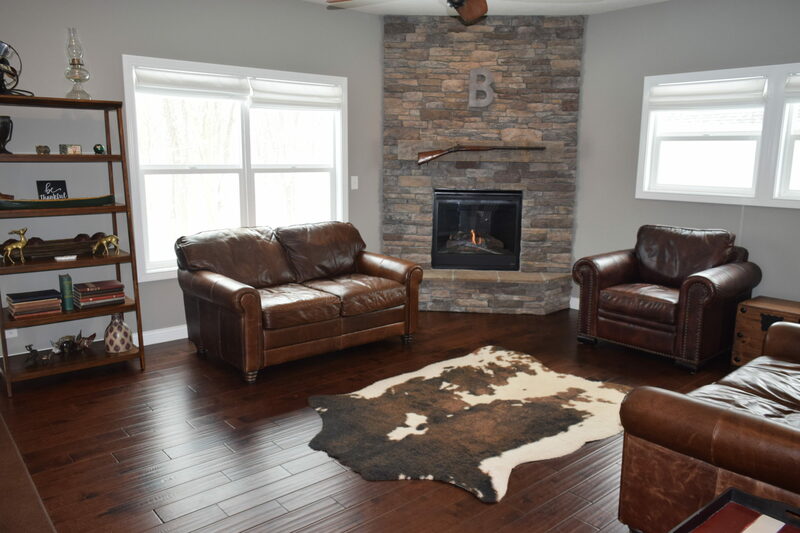 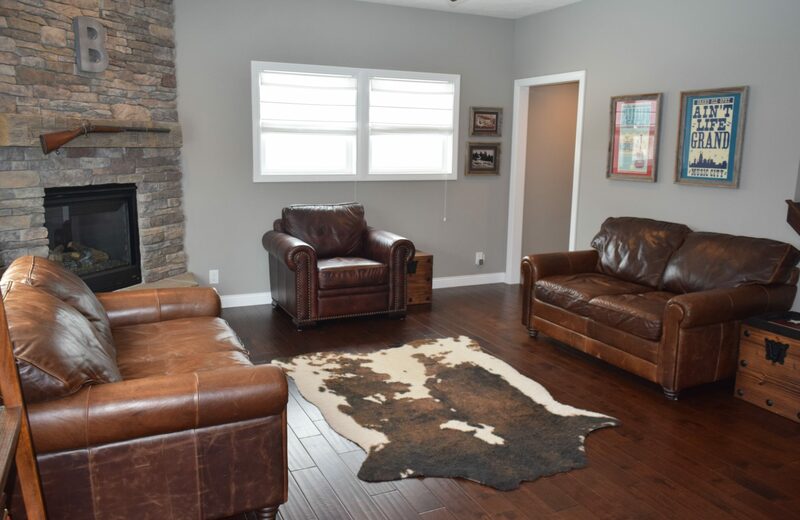 The gas fireplace adorned with stone from the floor to ceiling and an authentic Indiana barn beam for a mantle. 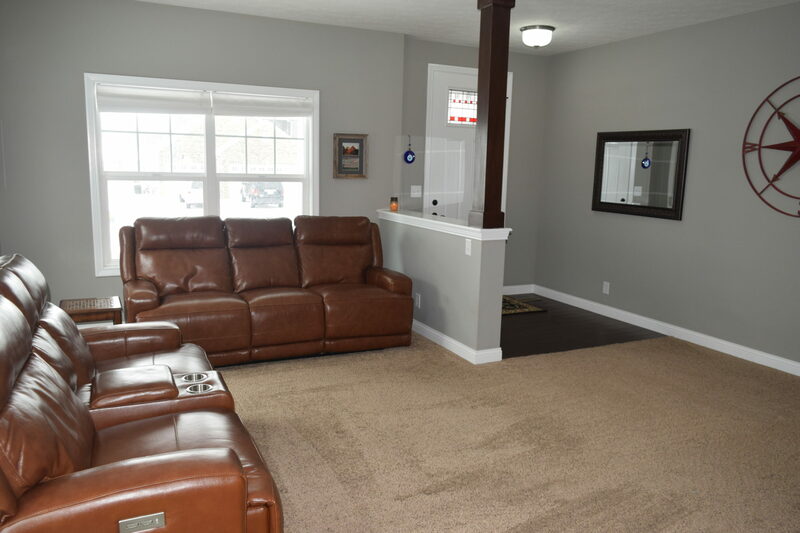 Gleaming hardwood floors the family room could also be used as a dining room and sits just off the kitchen. 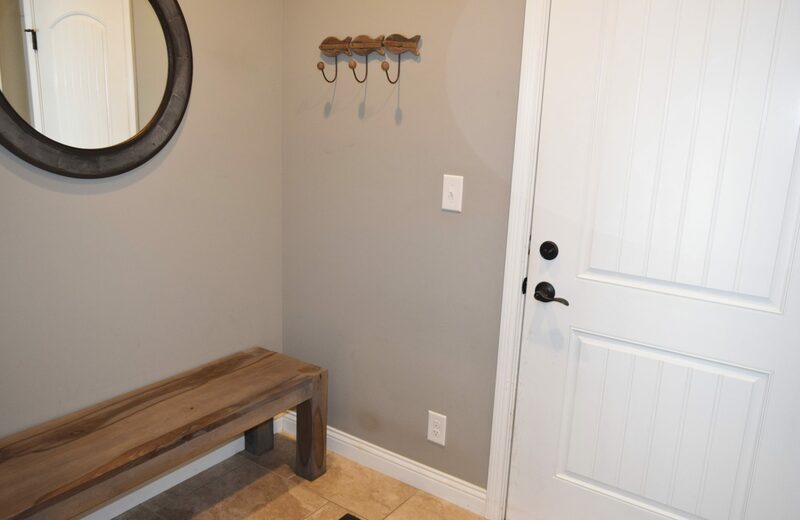 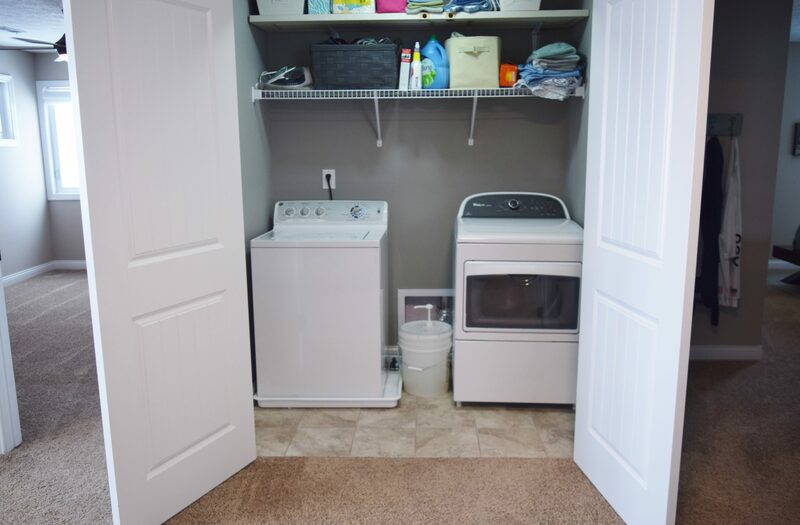 Perfect size mud room just inside the garage with a large closet. 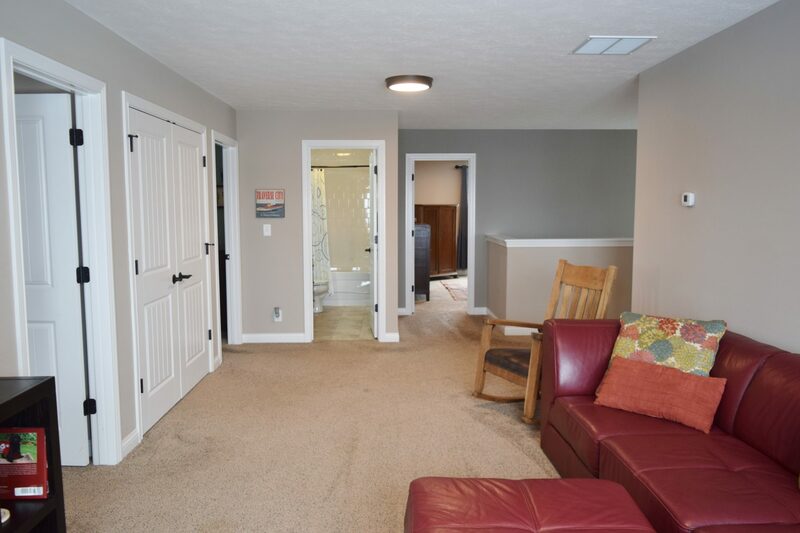 Spacious upper level welcomes you to the third family room/bonus room, the first of two laundry rooms, full hall bath and four more bedrooms. 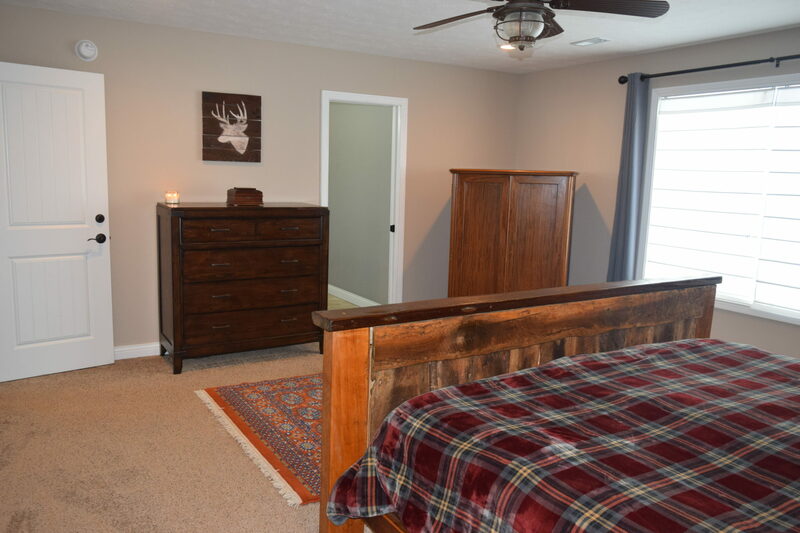 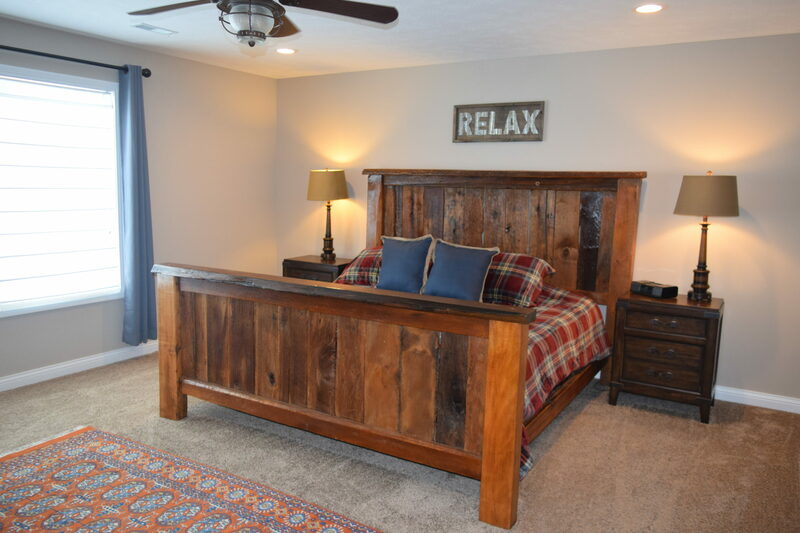 The master suite has amazing wooded views of the vast amount of wildlife and all that nature has to offer; right in your own yard. 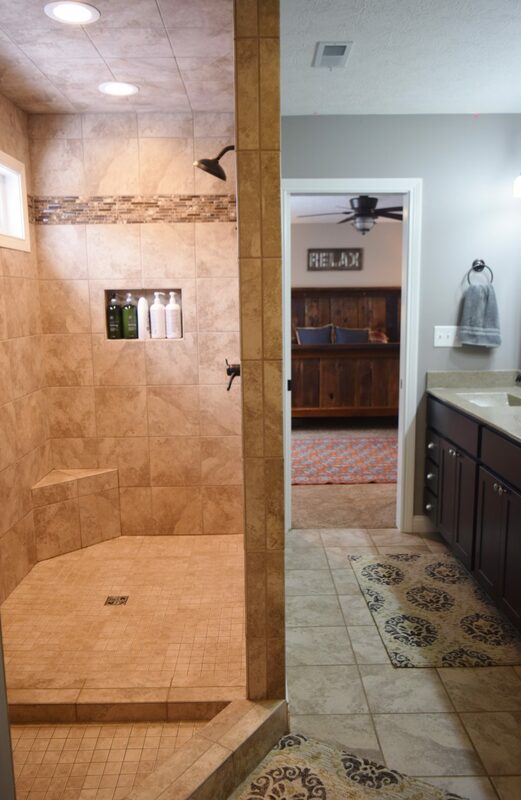 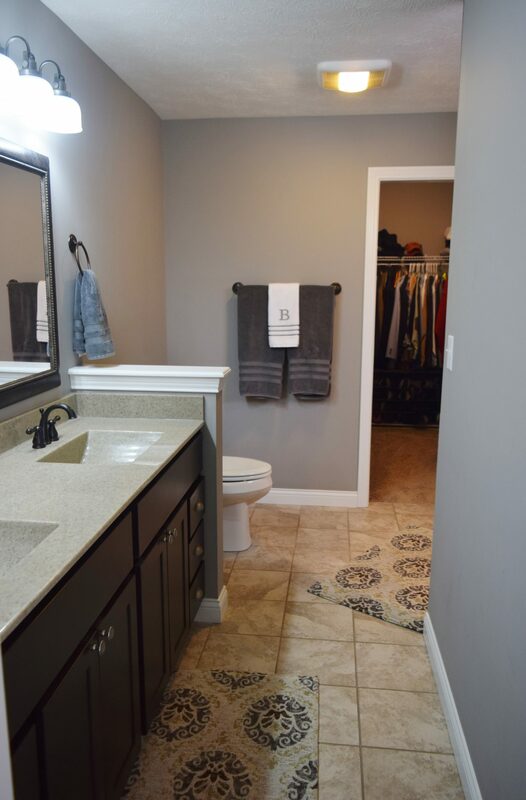 Master bath opens with a pocket door and features dual vanities, 8′ walk in custom tile shower and walk in closet. 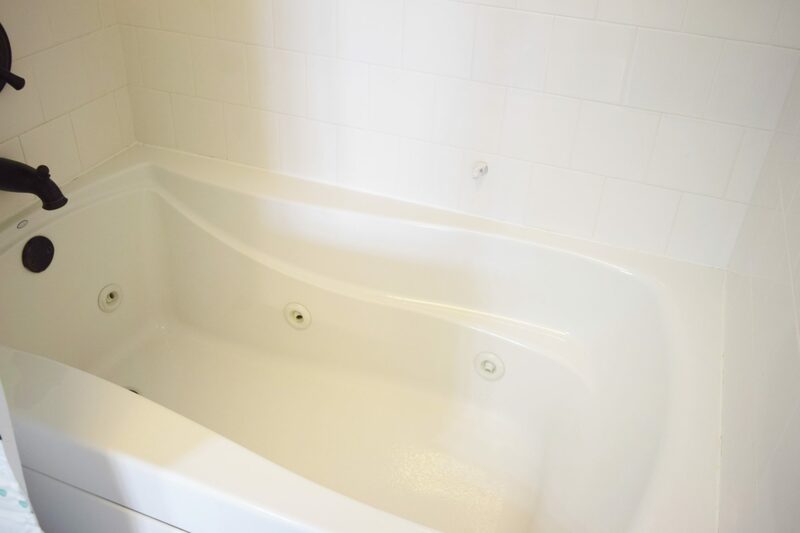 The 2nd full bath upstairs has a $3K heated Koehler jacuzzi tub. 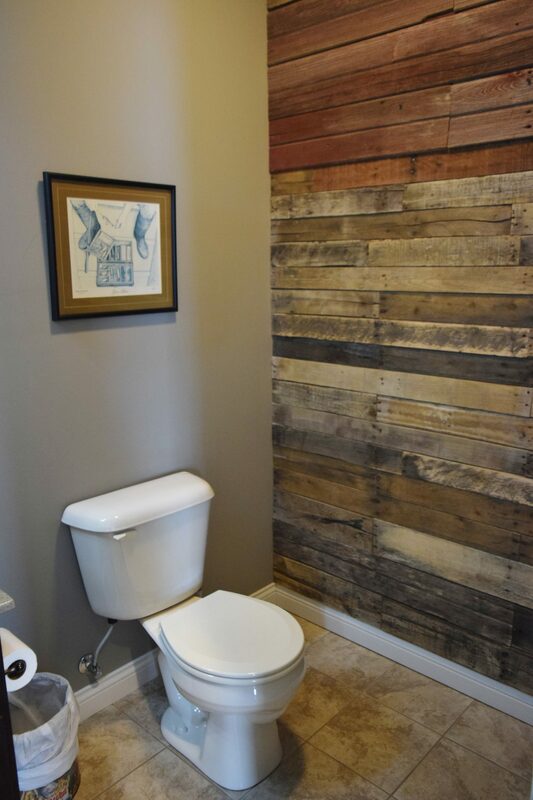 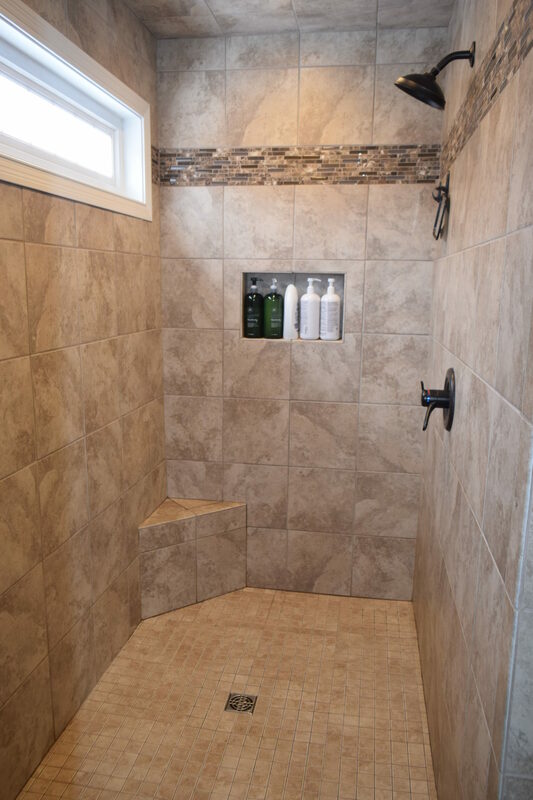 All showers have tile walls and tubs; no inserts. 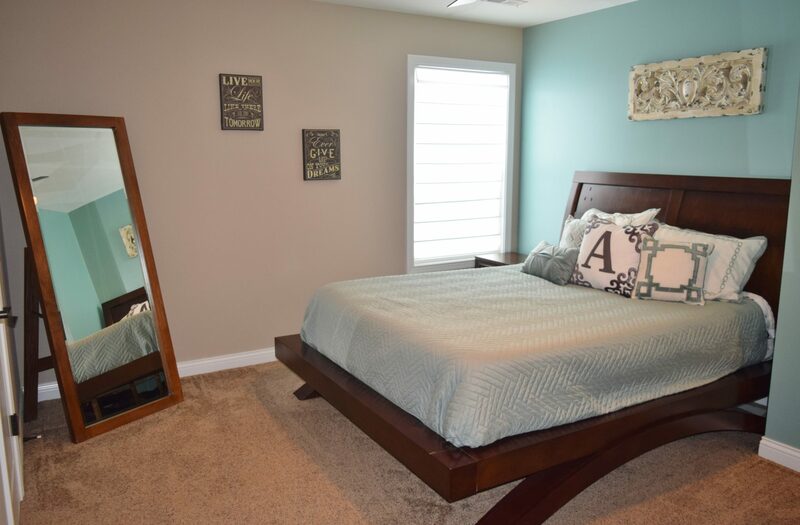 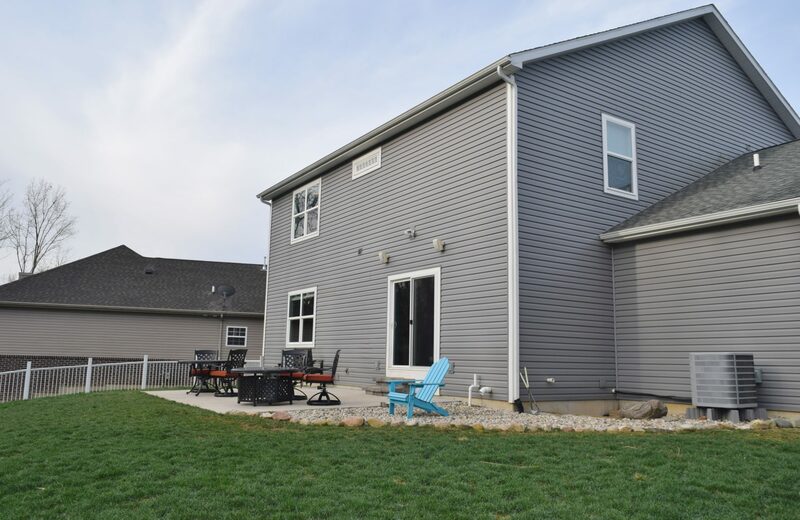 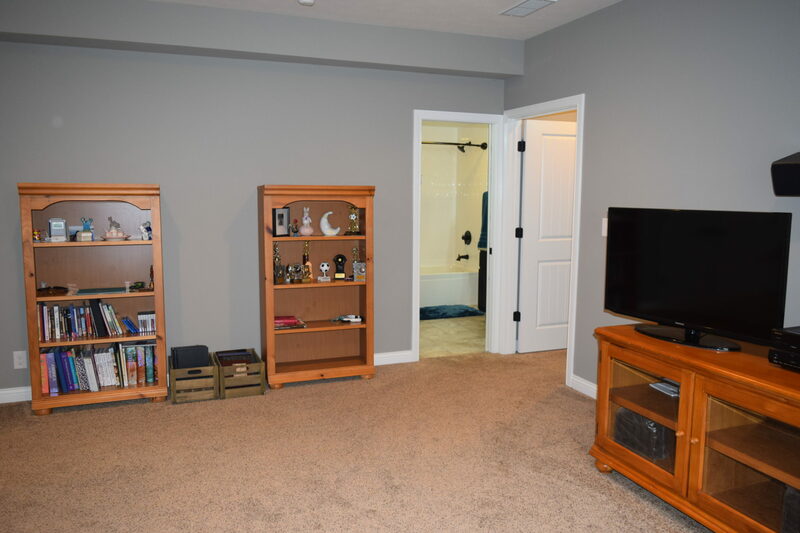 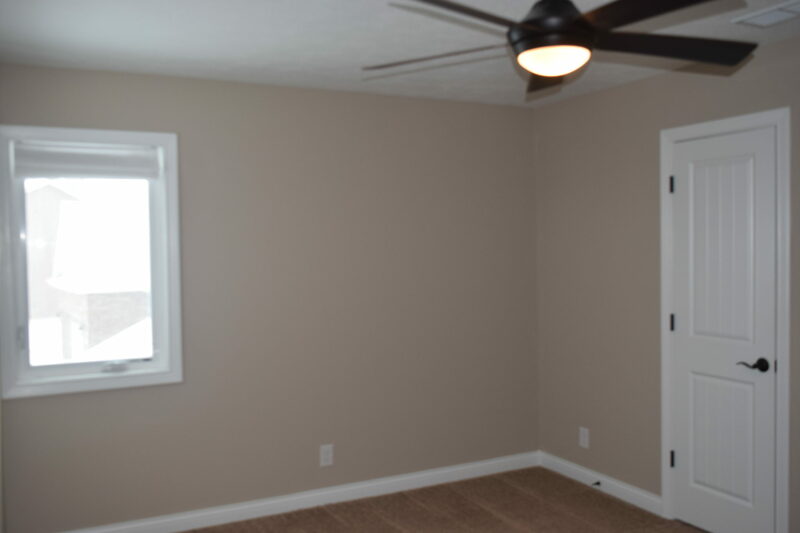 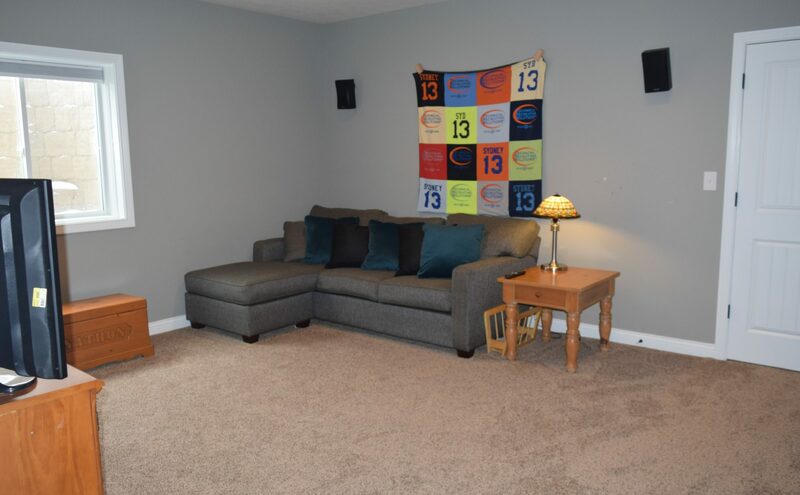 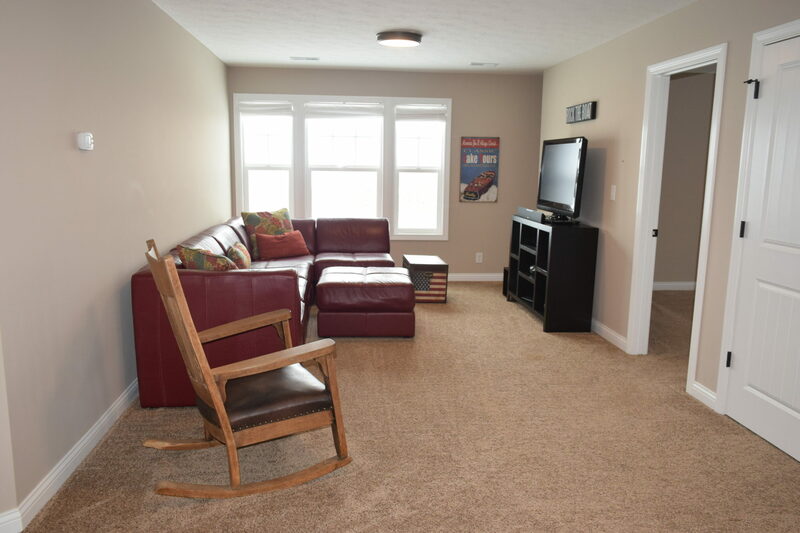 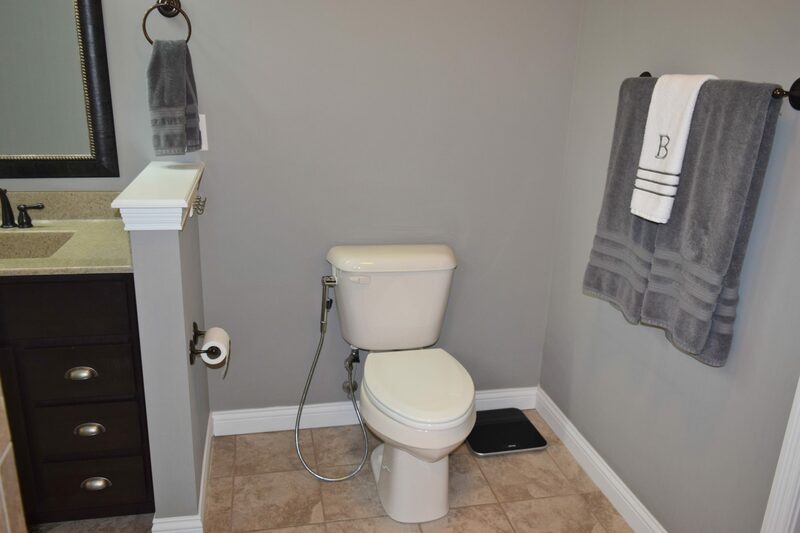 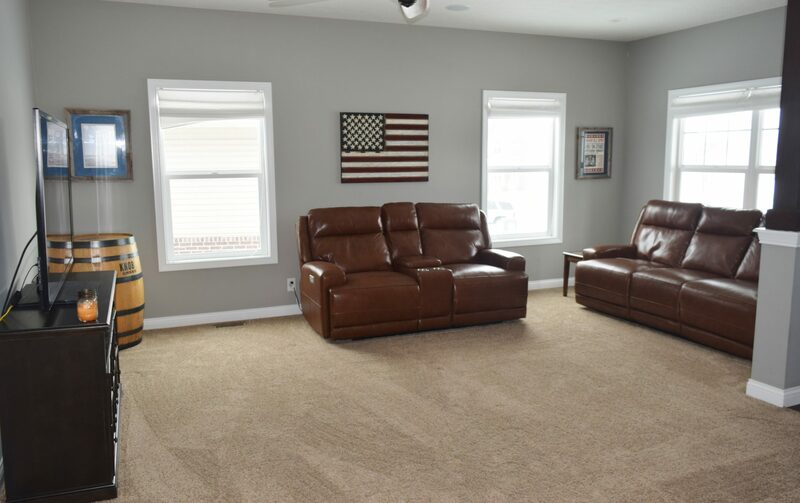 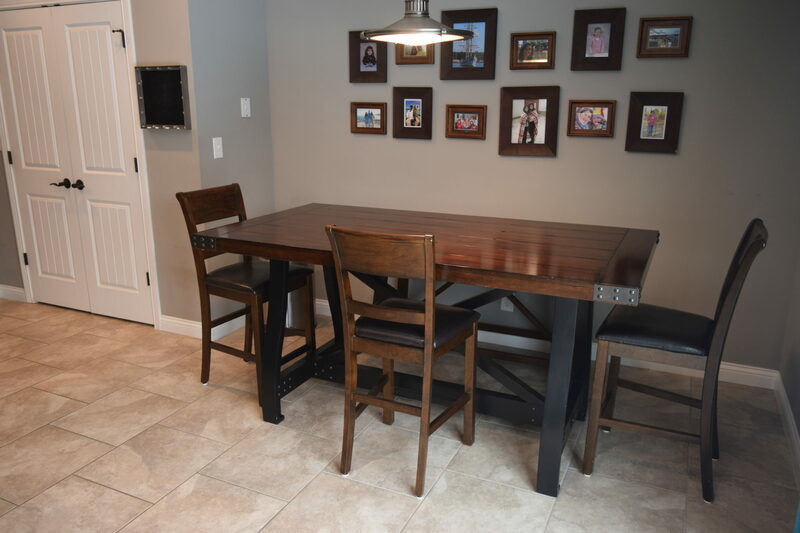 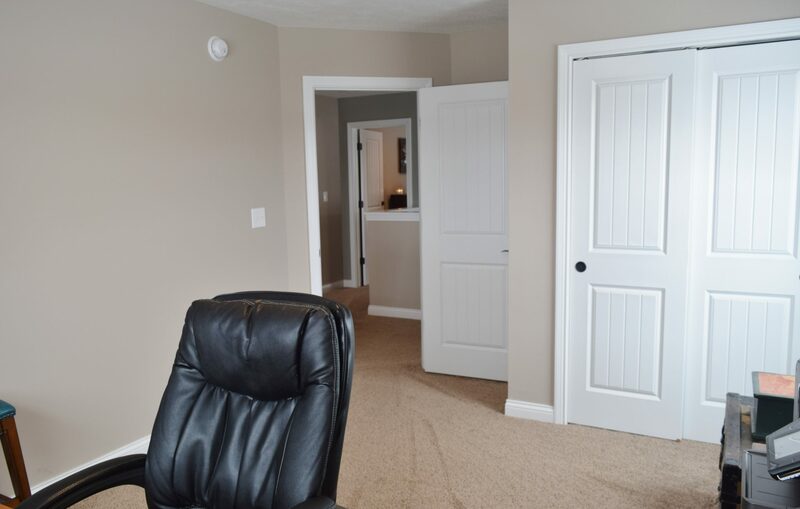 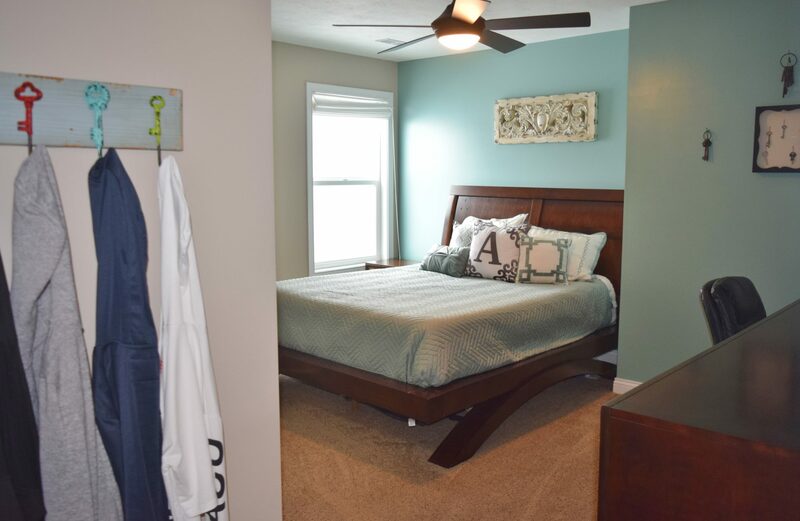 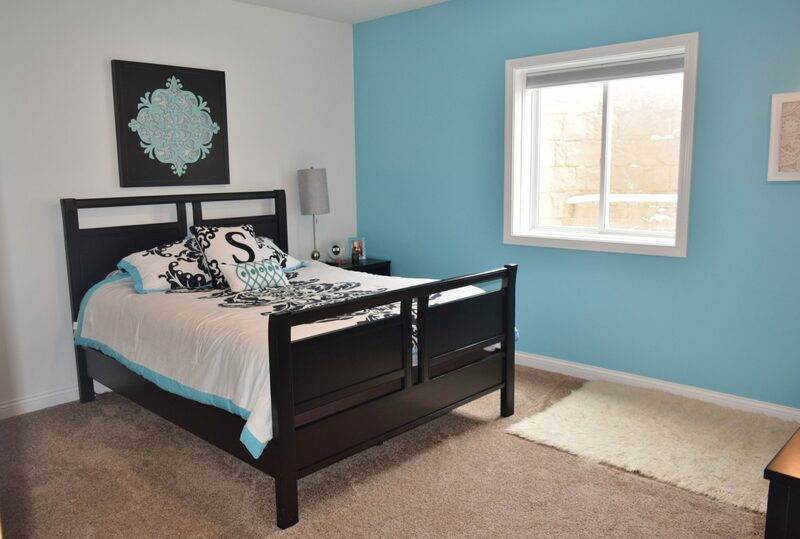 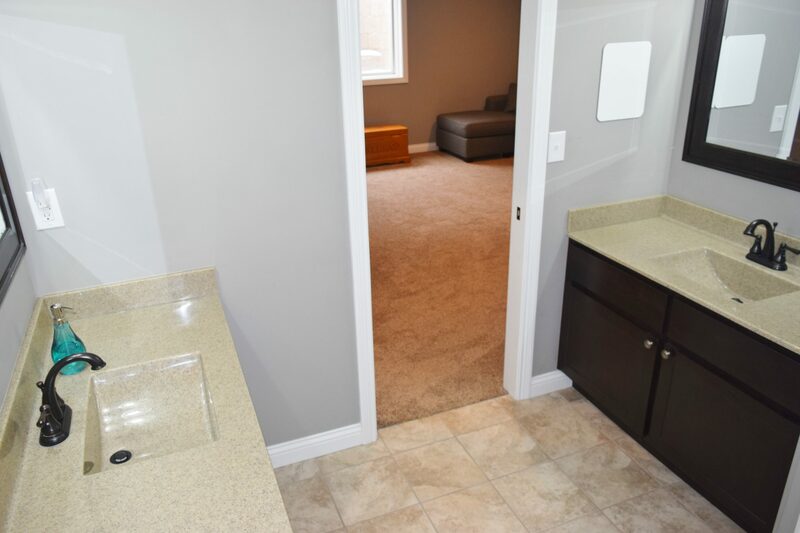 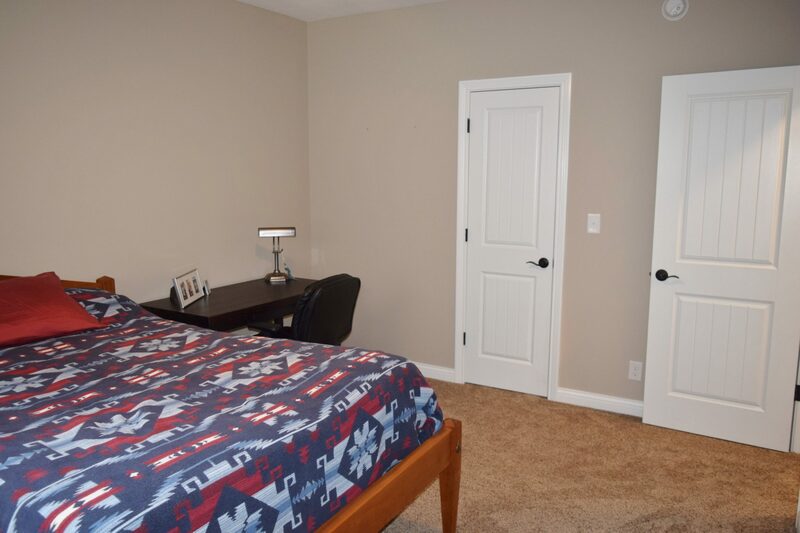 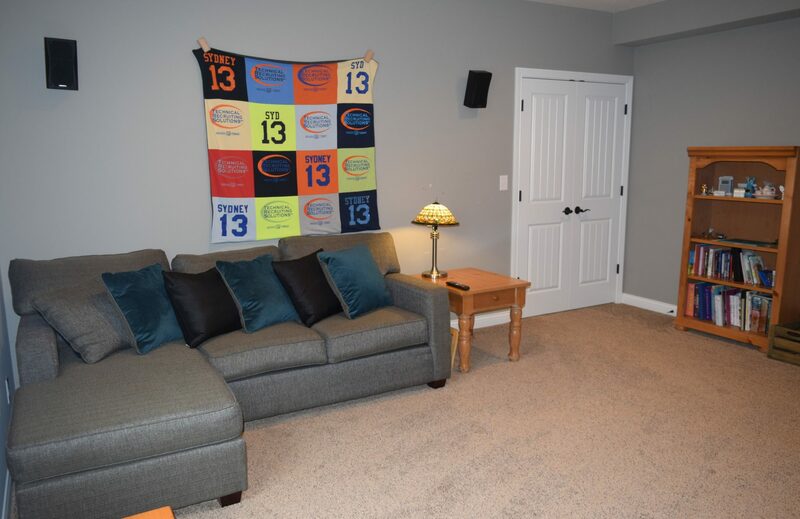 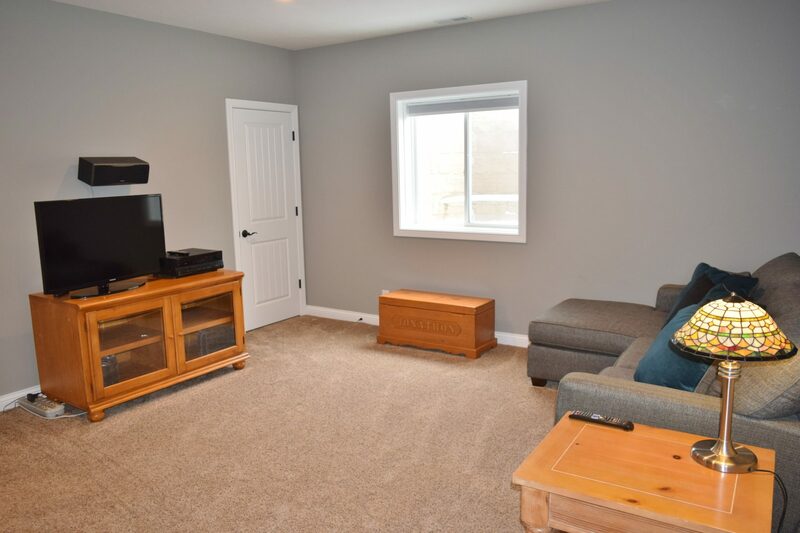 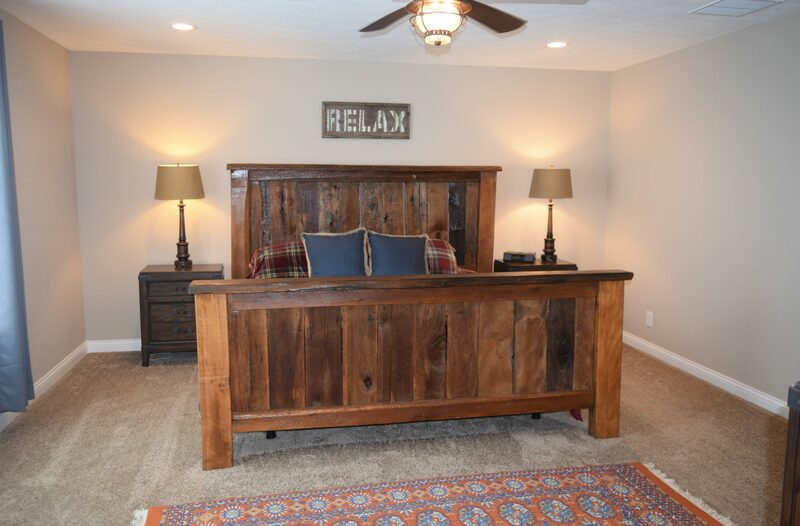 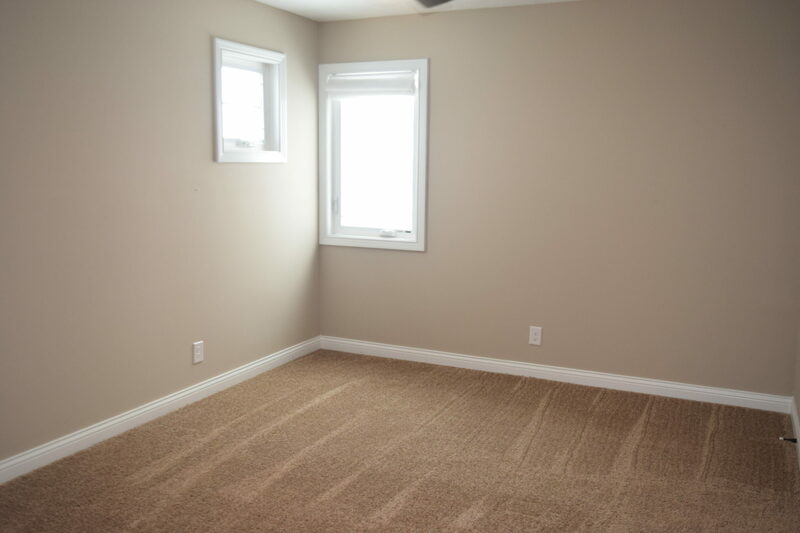 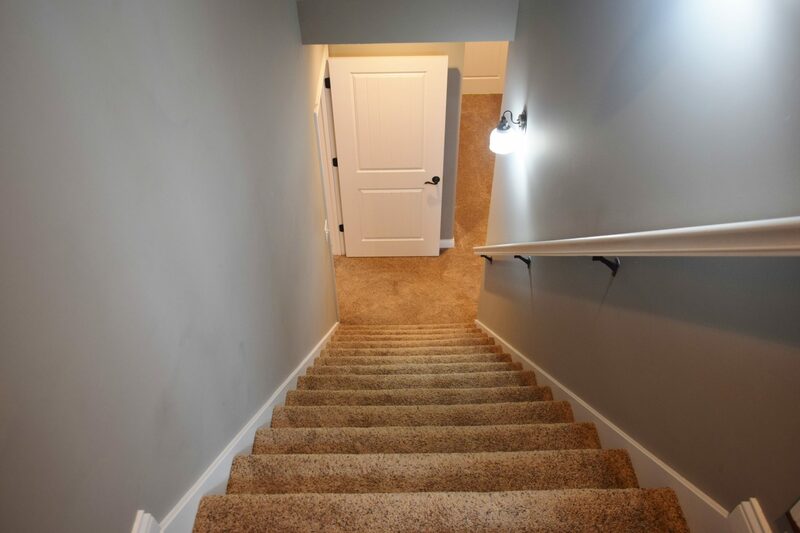 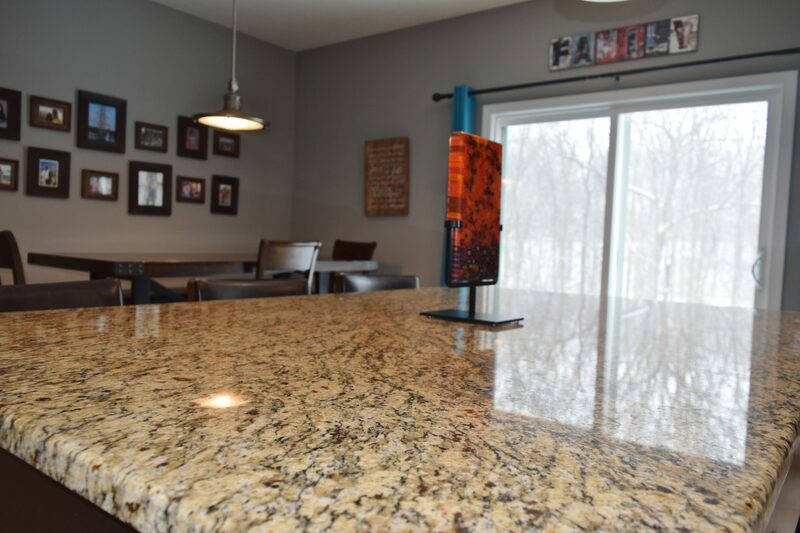 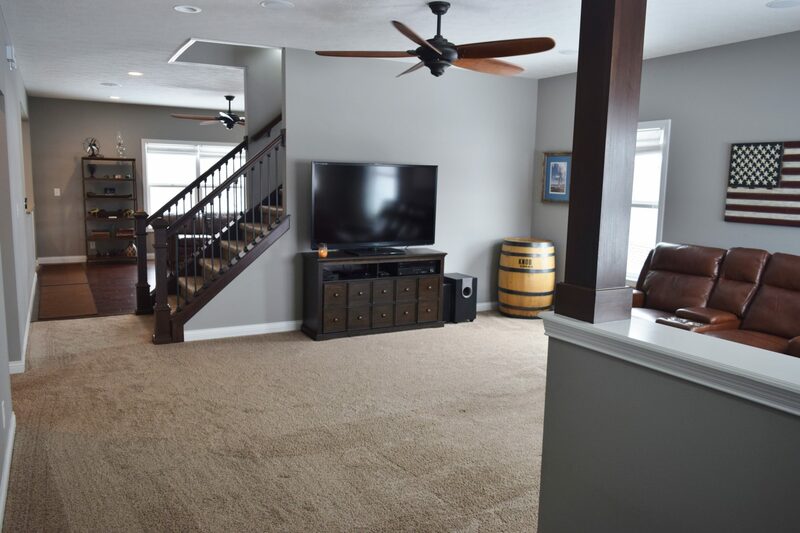 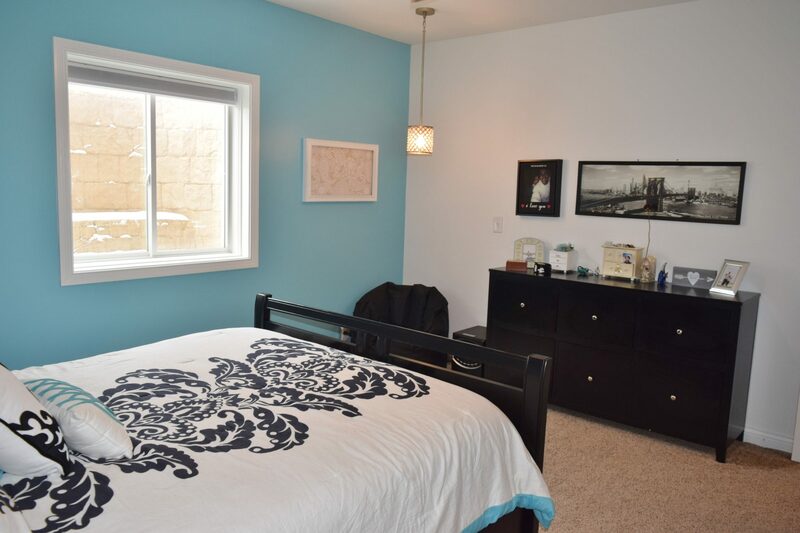 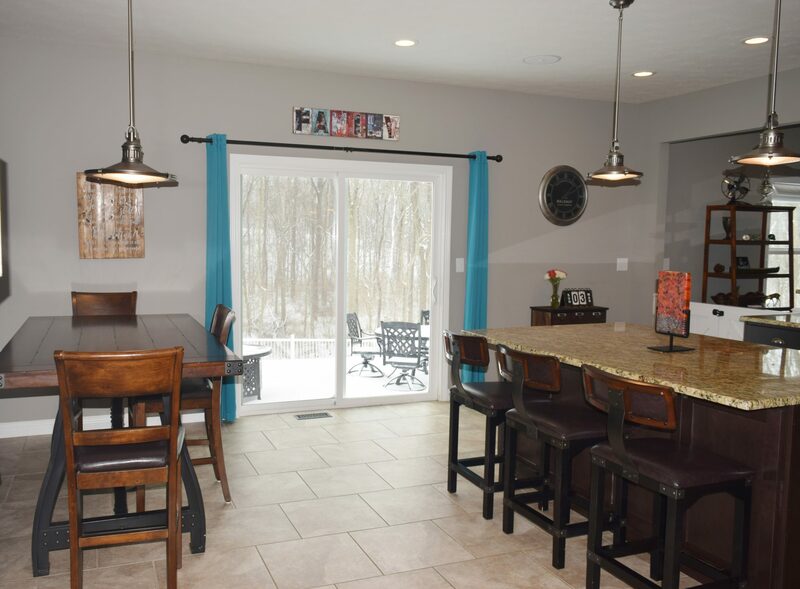 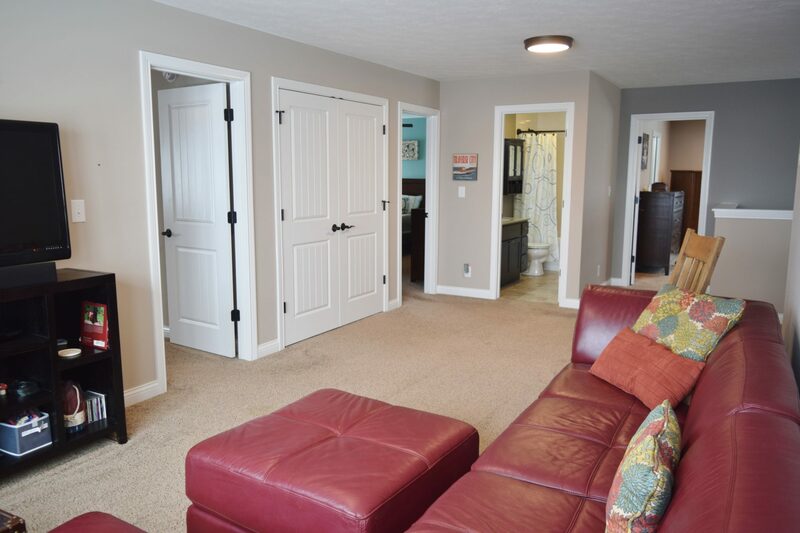 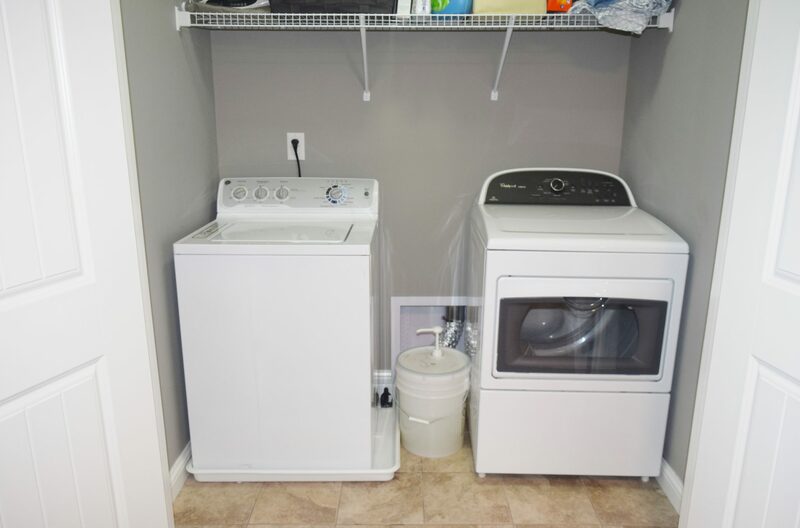 The huge, finished basement features a second laundry room convenient to the two large bedrooms both with sizable walk in closets and rec room with egress window and two closets, also separated by a door. 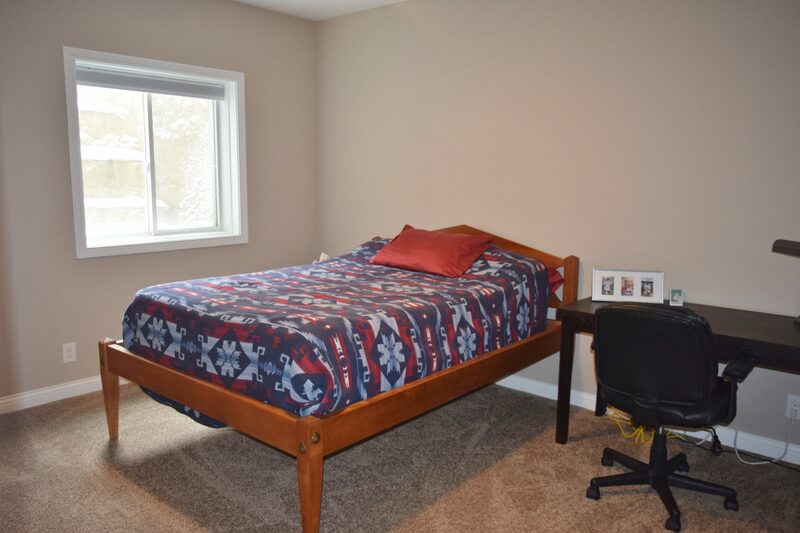 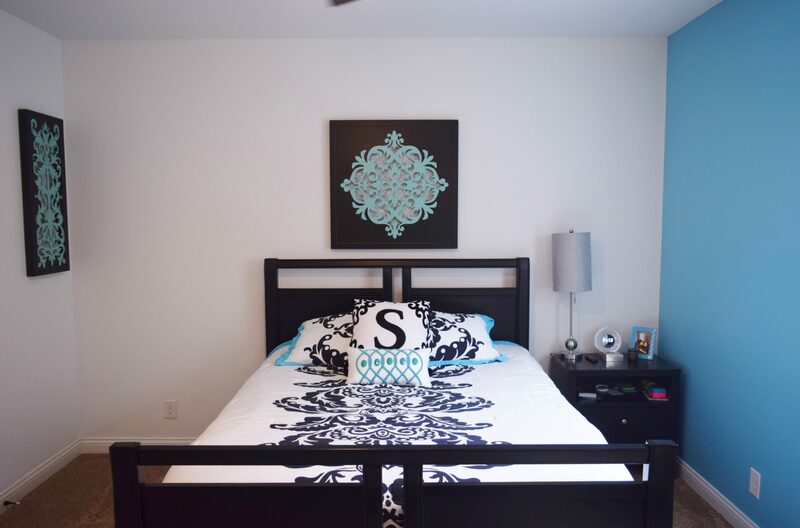 (could also be a 7th bedroom). 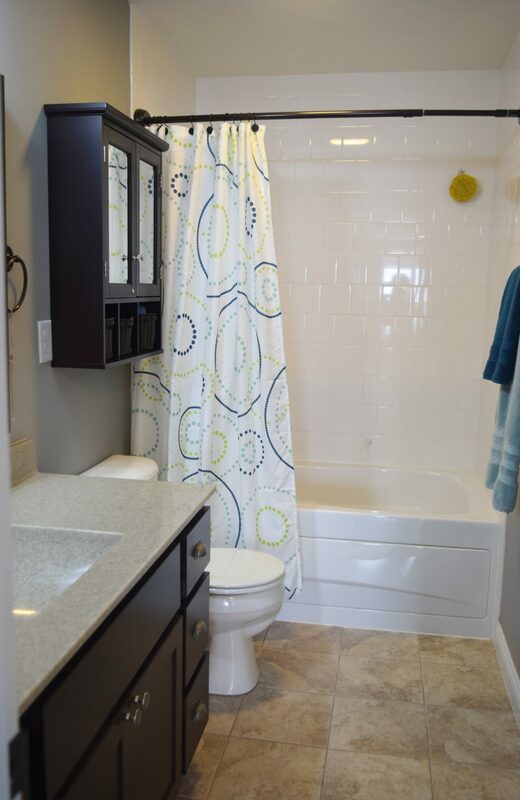 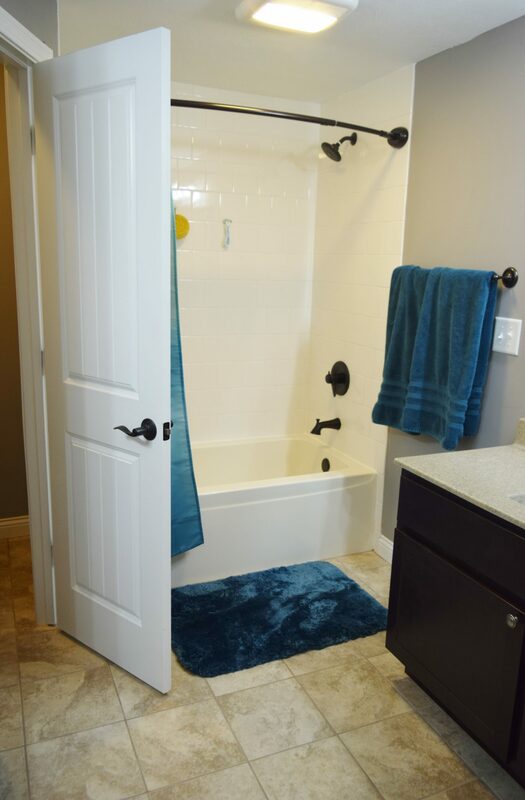 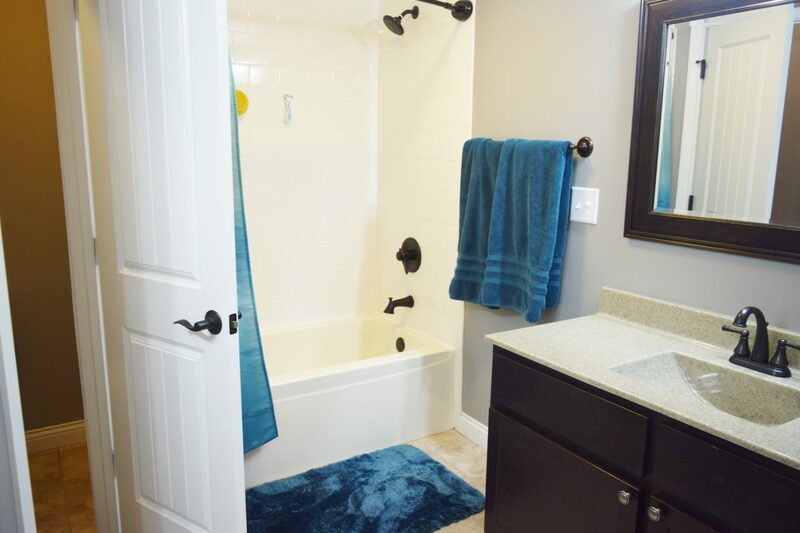 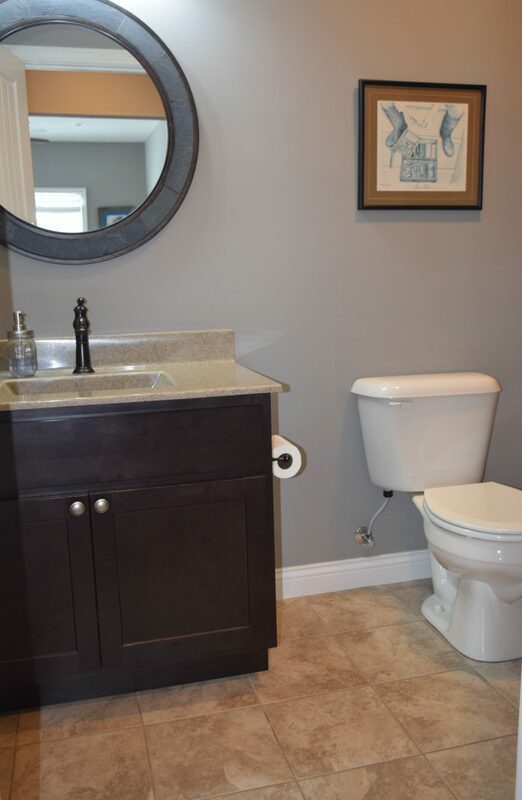 Full bath in the basement is perfect to share with 2 – 48 inch vanities. 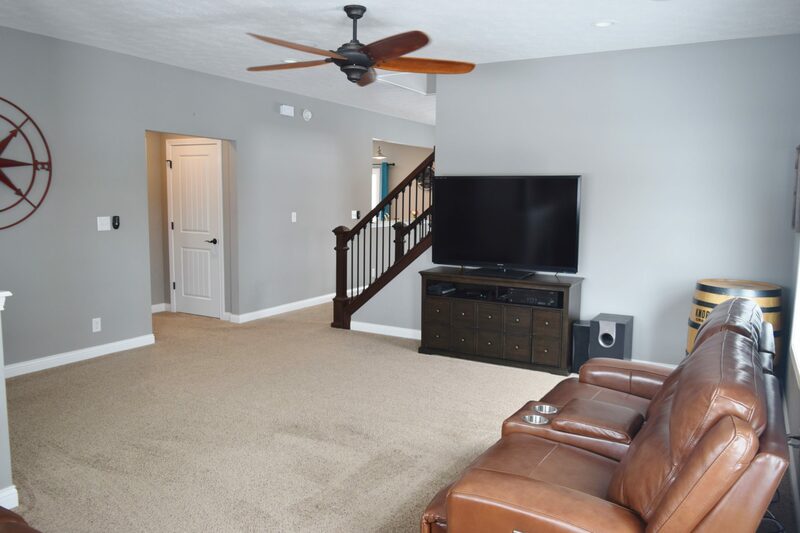 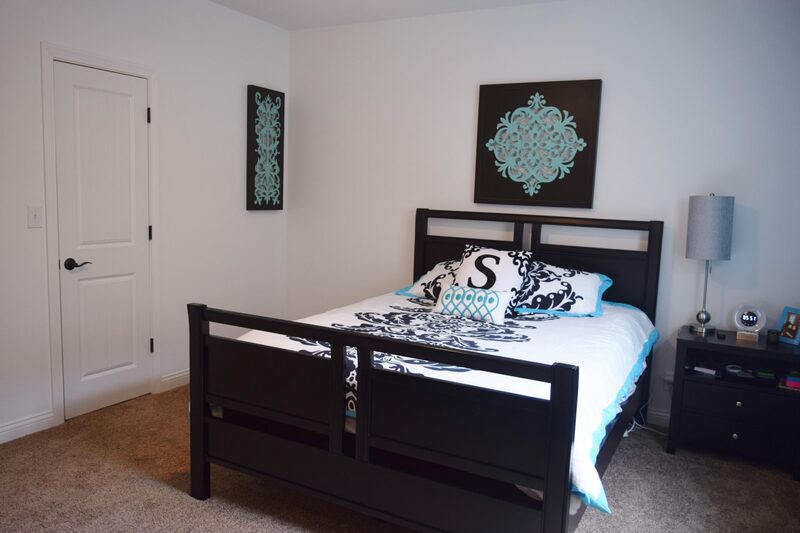 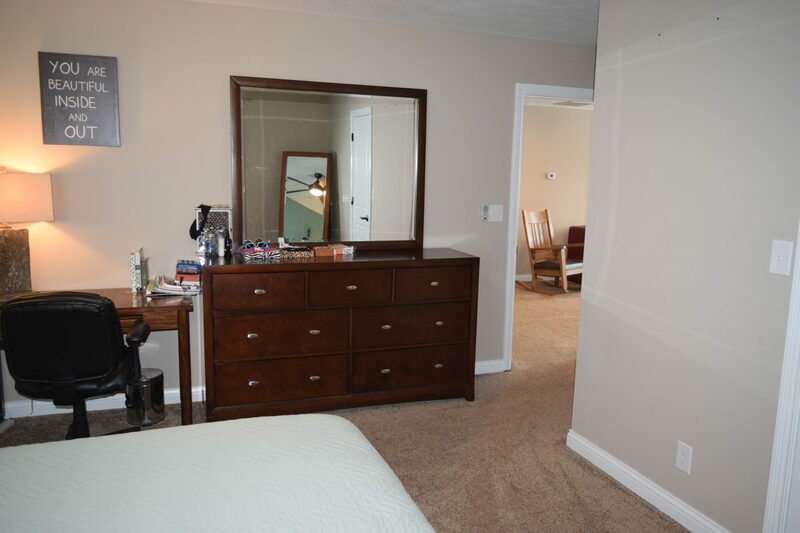 Entire home has solid core doors, large walk in closets, upgraded fixtures, over 30 LED canned lights, blue tooth speaker systems on entire main floor and back patio you can operate from your smart phone, and more! 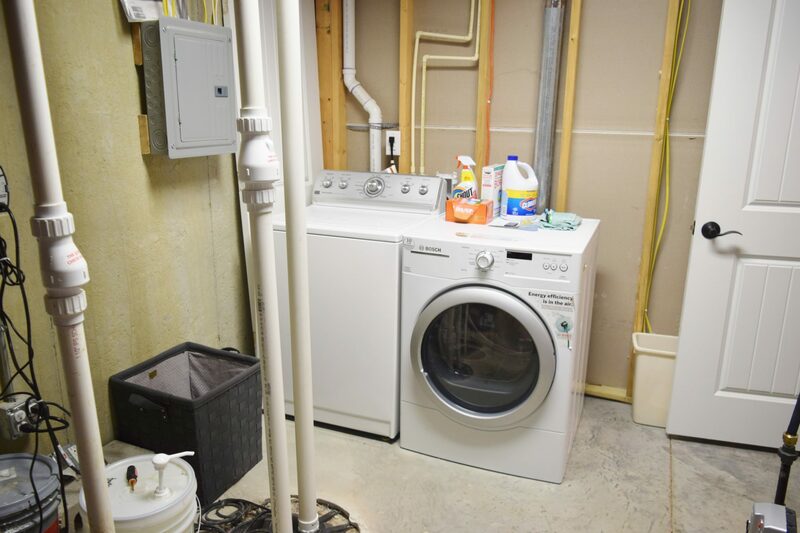 The HVAC system has a 96% efficient gas furnace. 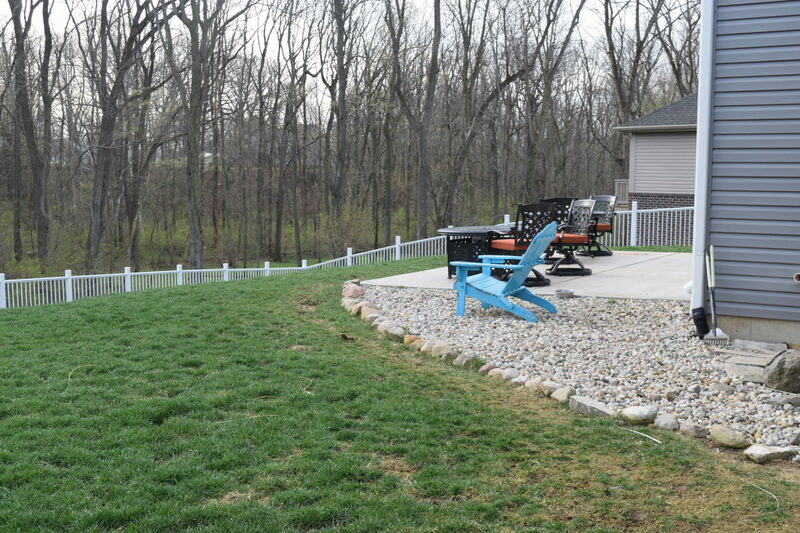 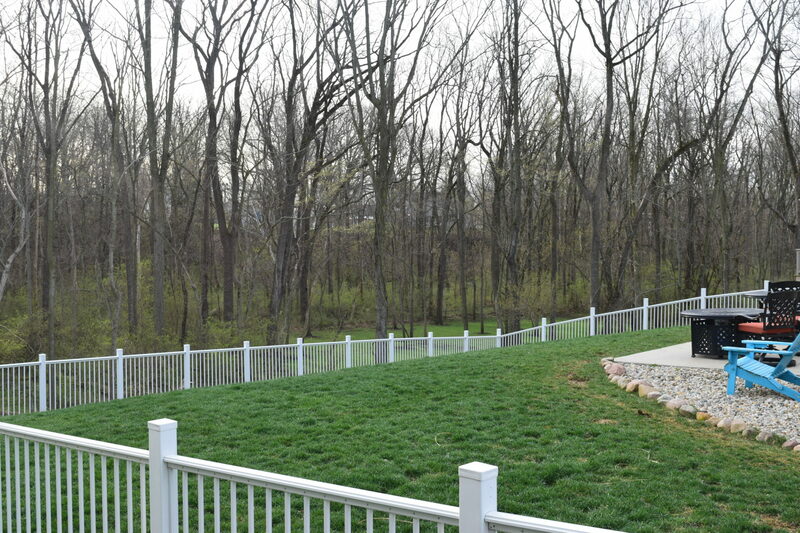 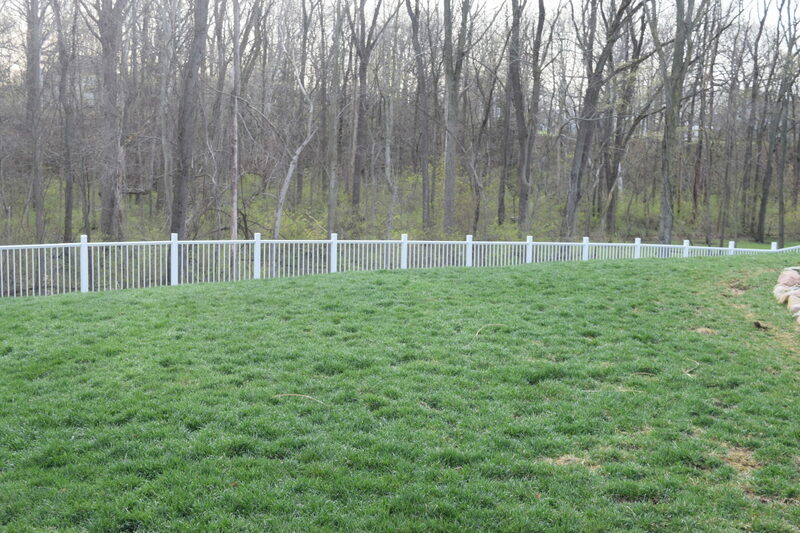 One of the largest lots in Harrison Highlands, this partially wooded lot is just under 1/2 acre with a commercial grade aluminum fence, mature trees, and maintenance free concrete patio. 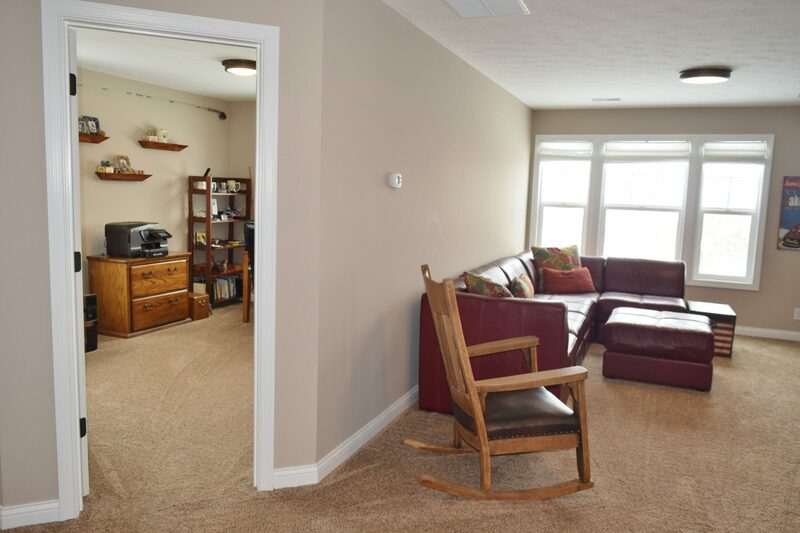 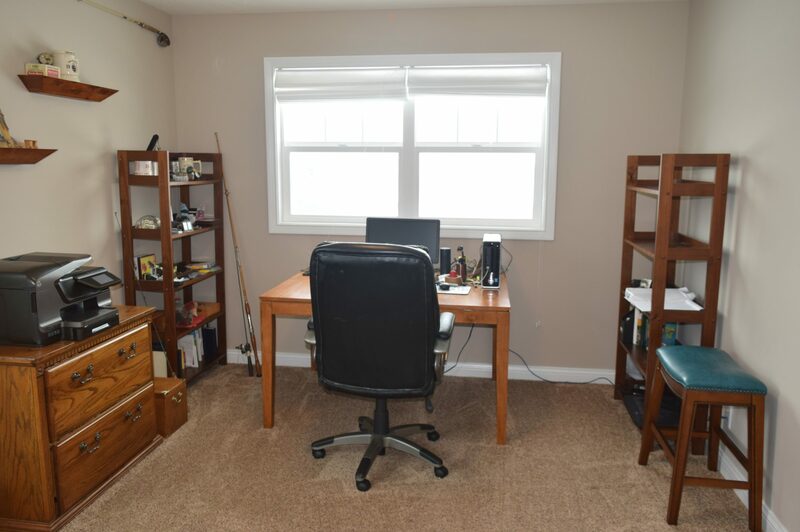 Enjoy access to the private neighborhood pond for fishing just a few doors down. 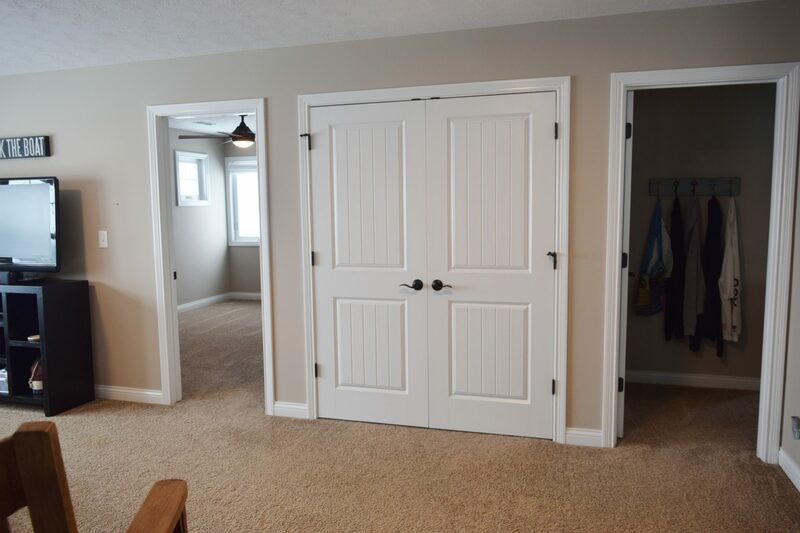 Three car garage has tons of storage and is 35′ deep in third bay with 8 foot tall x 9 foot wide door for toys. 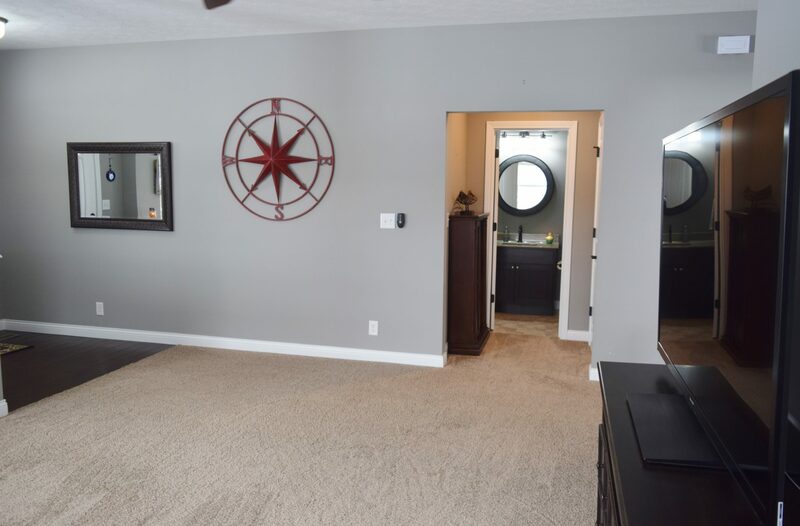 Less than a mile to Harrison High School and only 5 minutes to I-65. 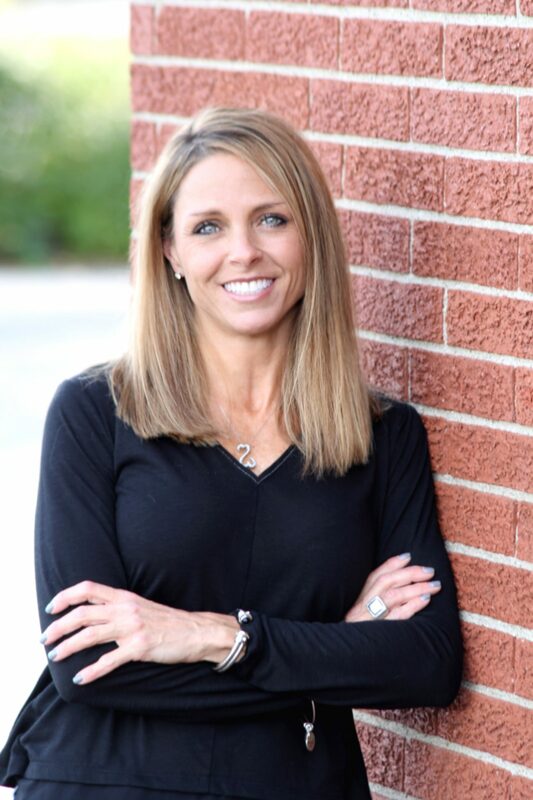 TSC-Burnett Creek Elementary, Battle Ground Middle, Harrison High School. 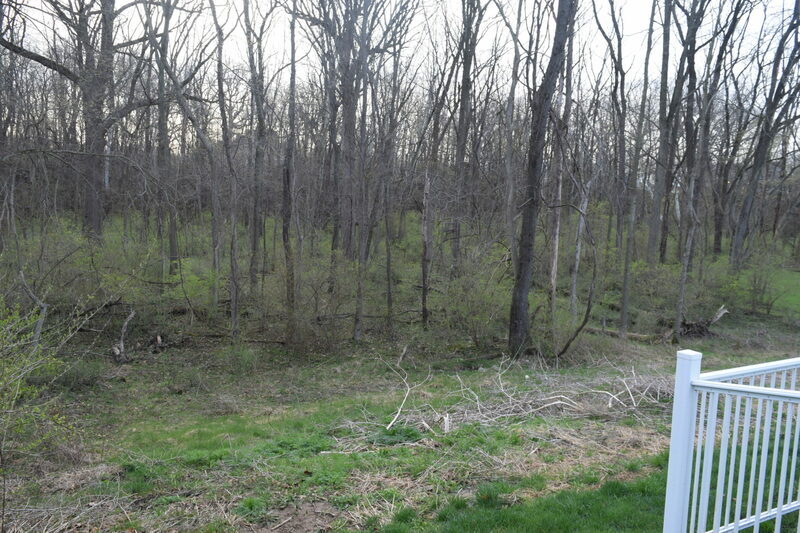 From Sagamore Pkwy, go north on N Salisbury St (turns info N 50 W) for 3.4 miles. 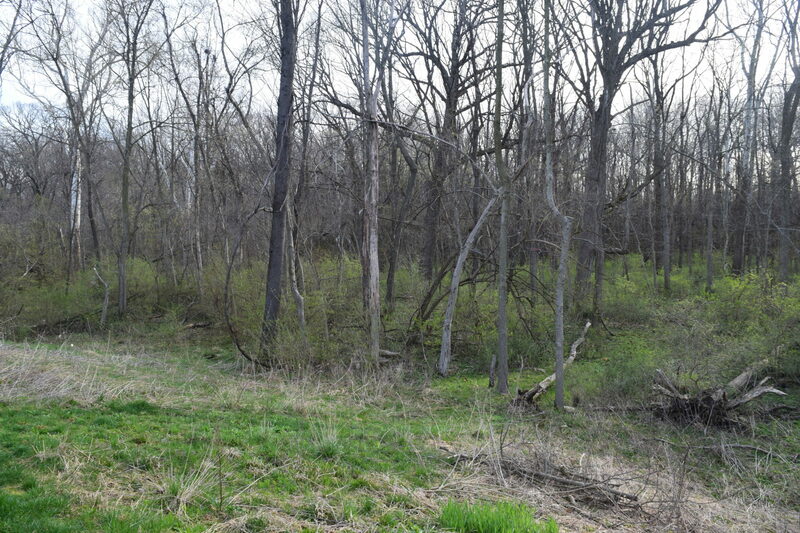 (Past Harrison/Burnett Creek). 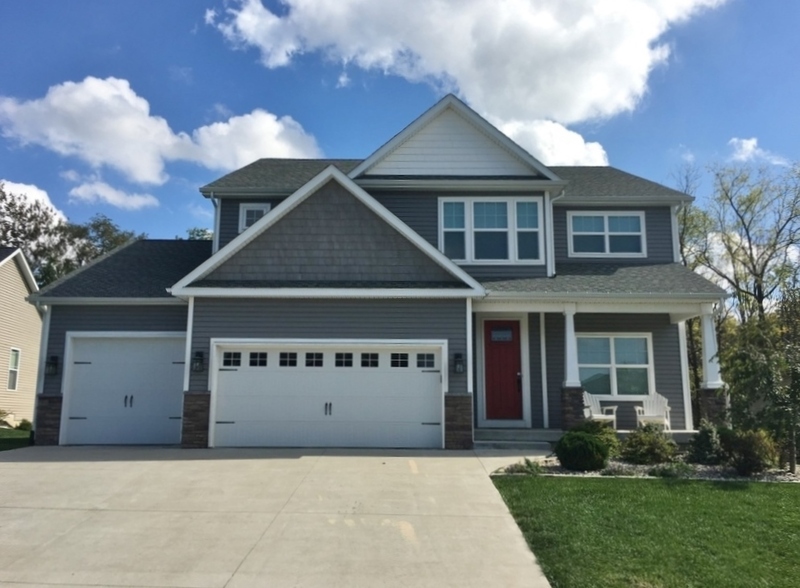 Turn right on E 600 N. Take first left into Harrison Highlands onto Fergusson Dr. 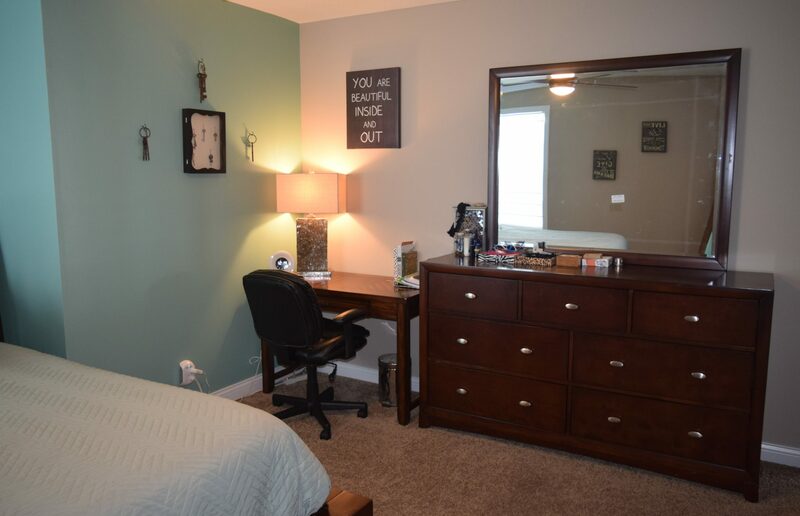 Turn right on first street onto MacBeth Dr. 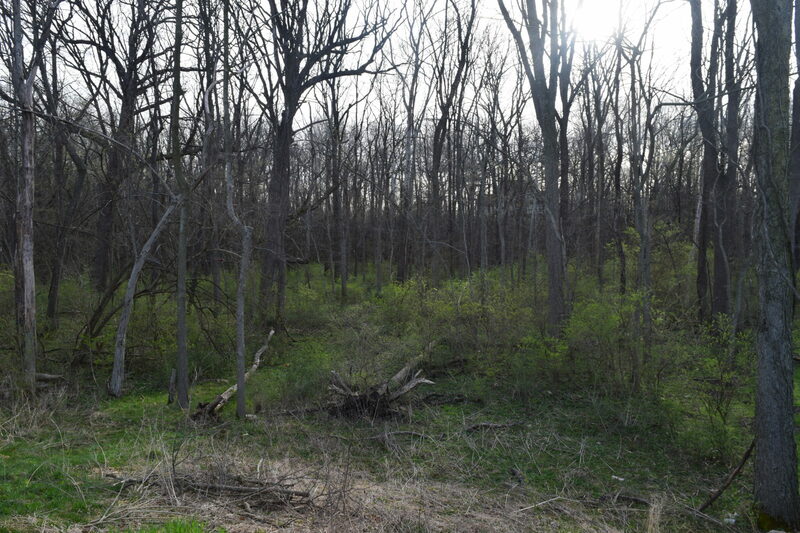 Follow around about .2 miles. 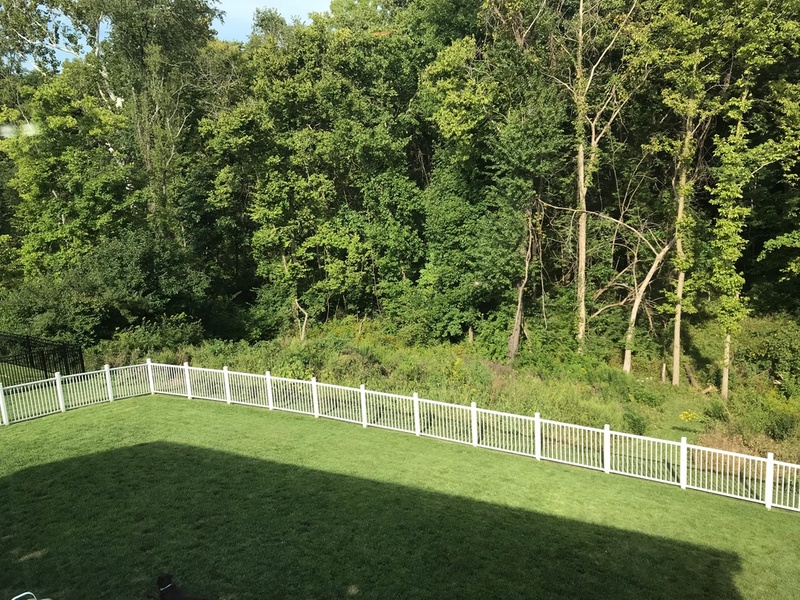 (MacBeth turns into Chattan Dr as it curves to the left). 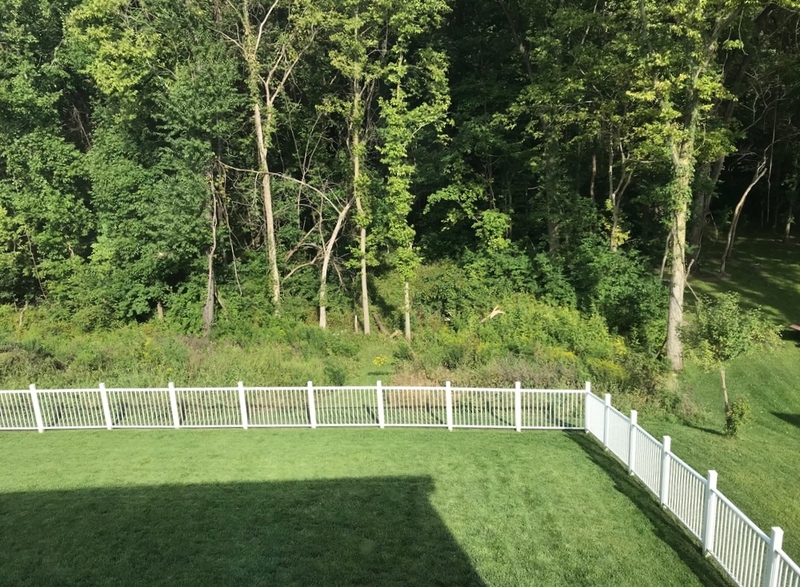 House on on the right just past the curve.